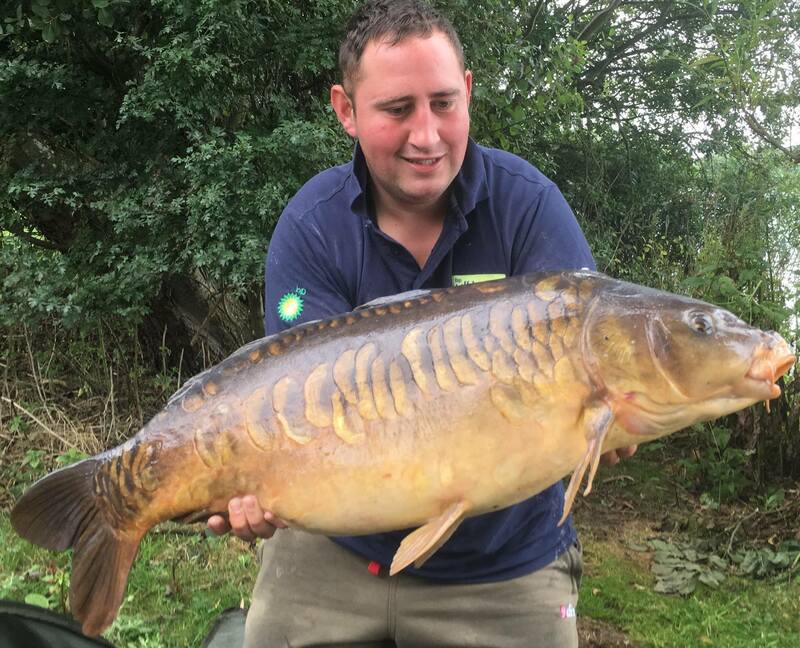 Horseshoe Lake on the boarders of Gloucestershire and Oxfordshire is run on traditional lines and we pride ourselves on the care we take to ensure your security and enjoyment. 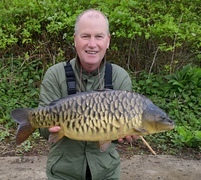 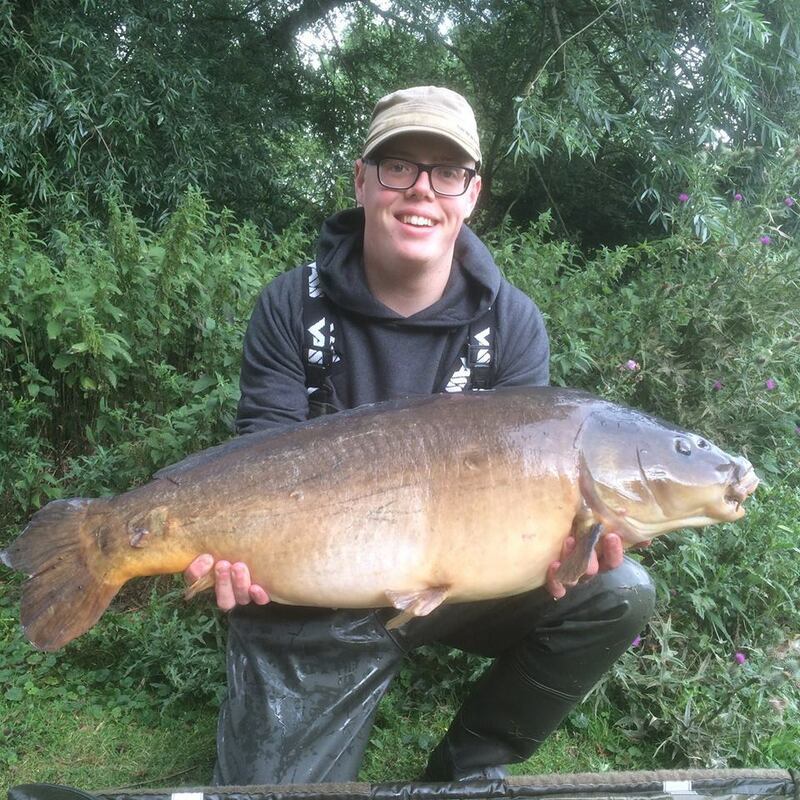 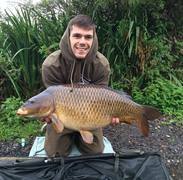 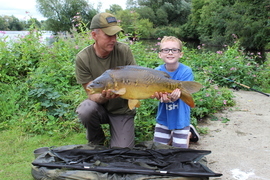 For this reason we like to meet all our anglers on their first visit so it is recommended that you arrive during office hours, where we can pass on whatever hints and tips we can to assist your choices of swim, baits and techniques. 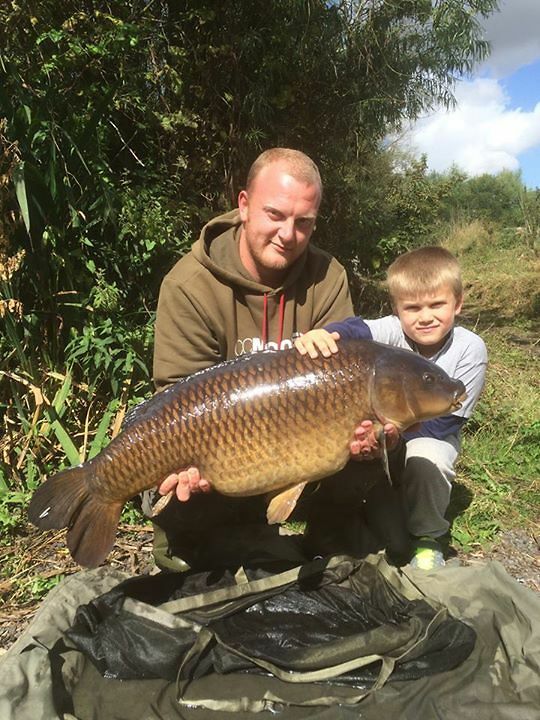 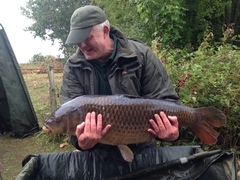 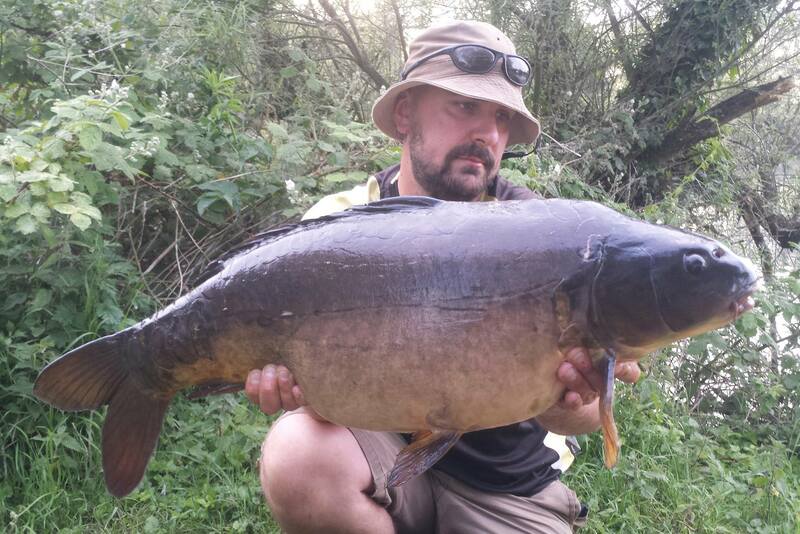 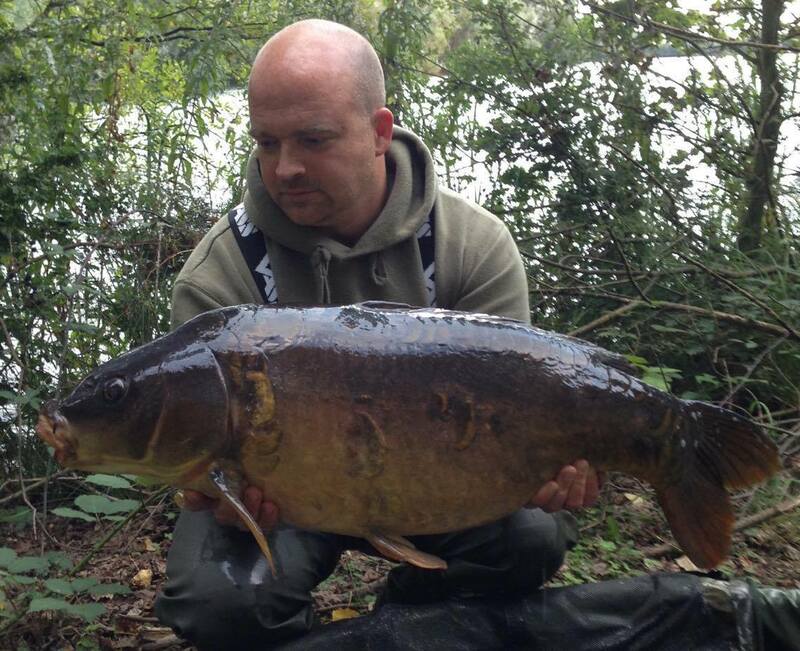 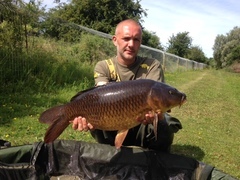 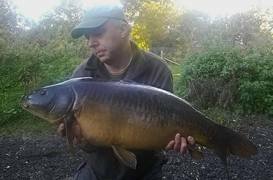 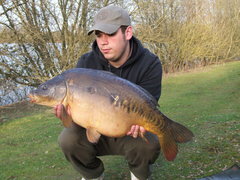 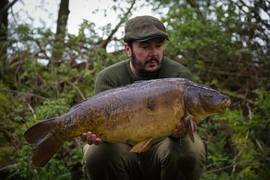 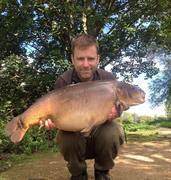 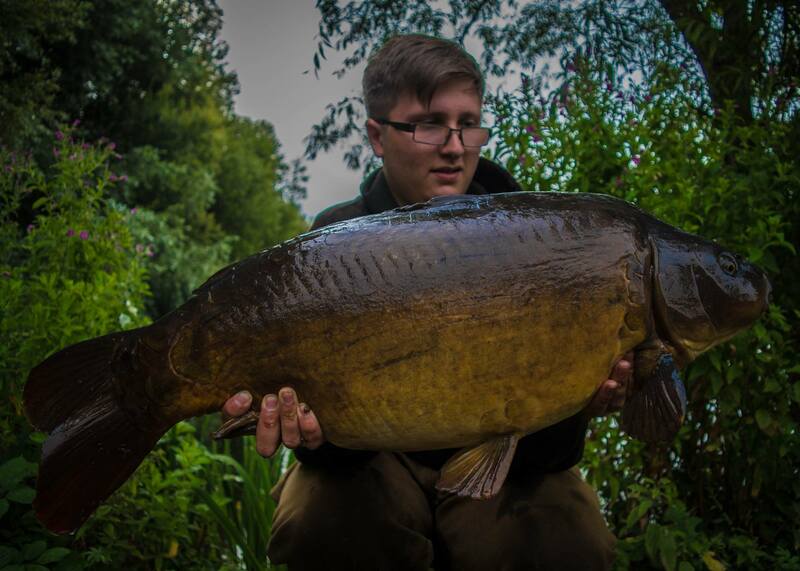 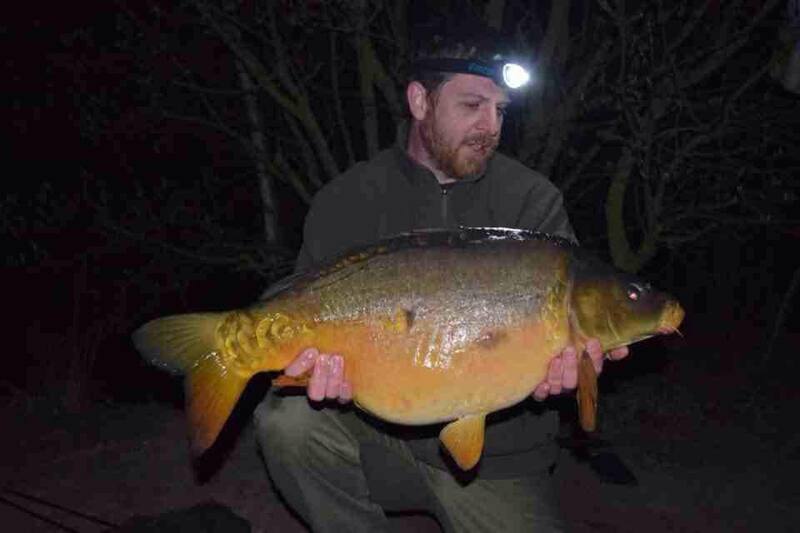 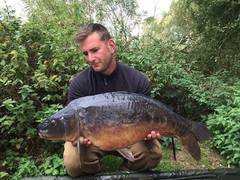 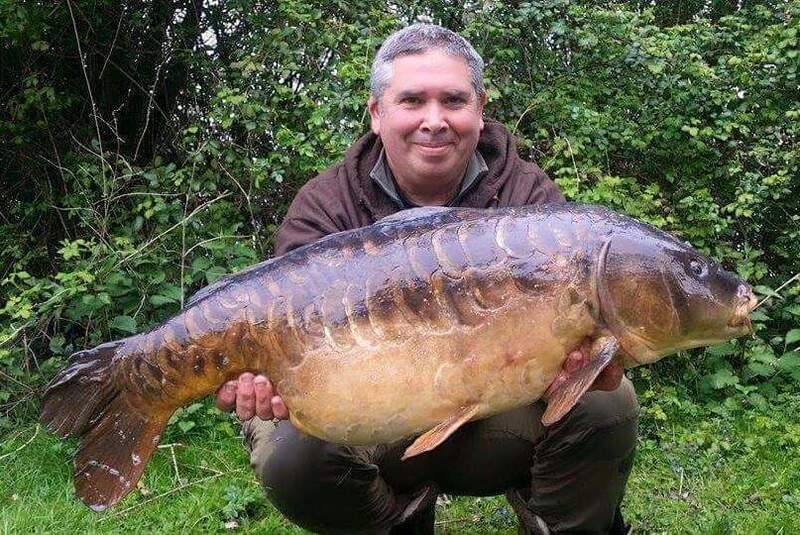 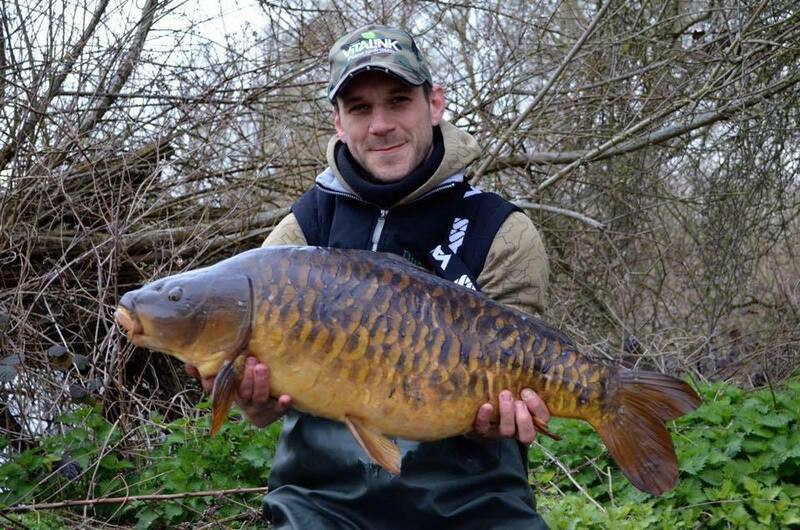 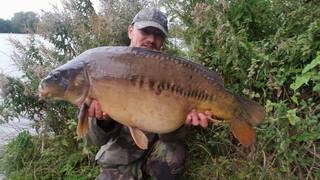 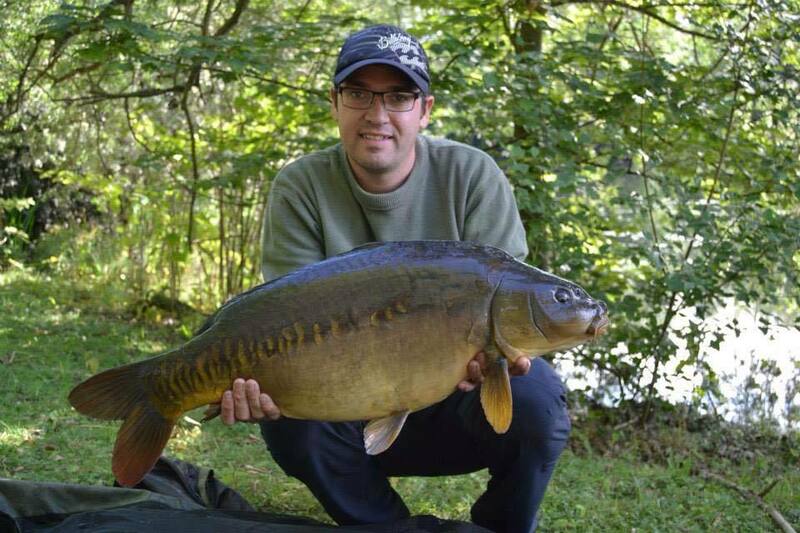 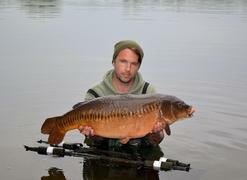 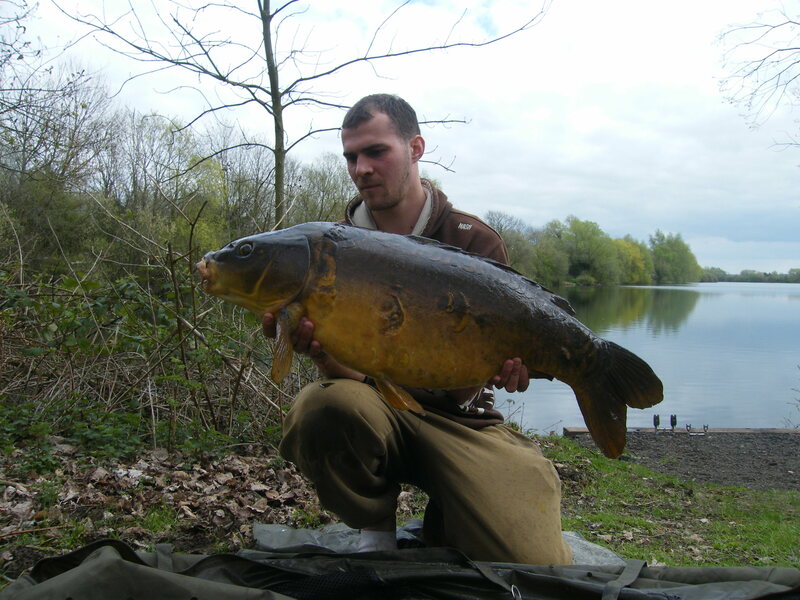 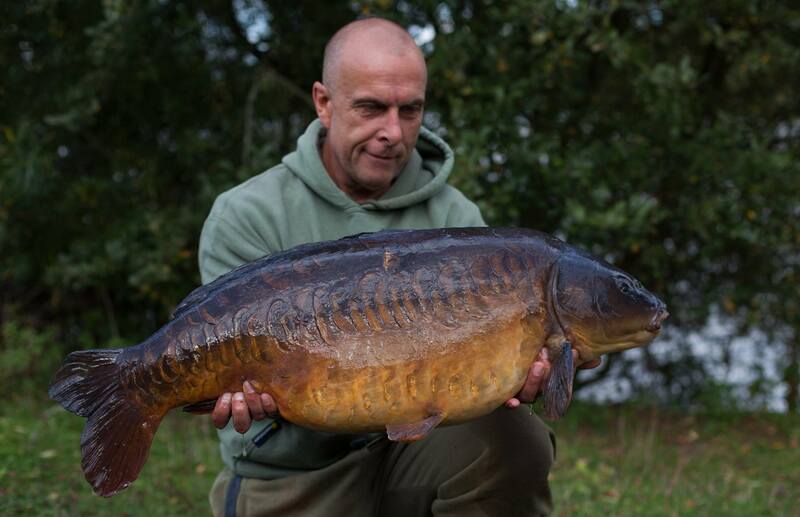 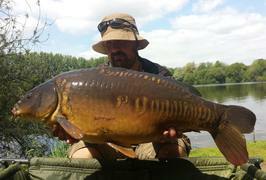 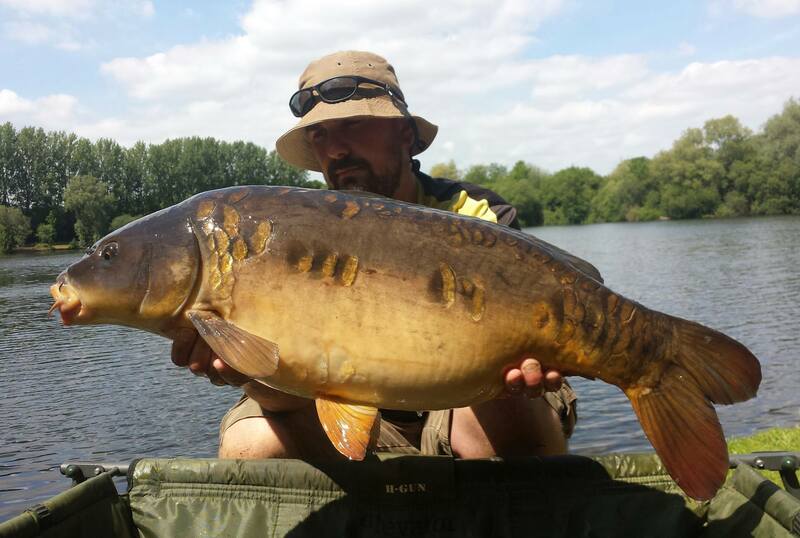 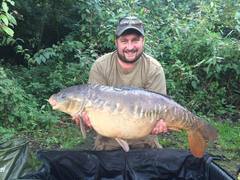 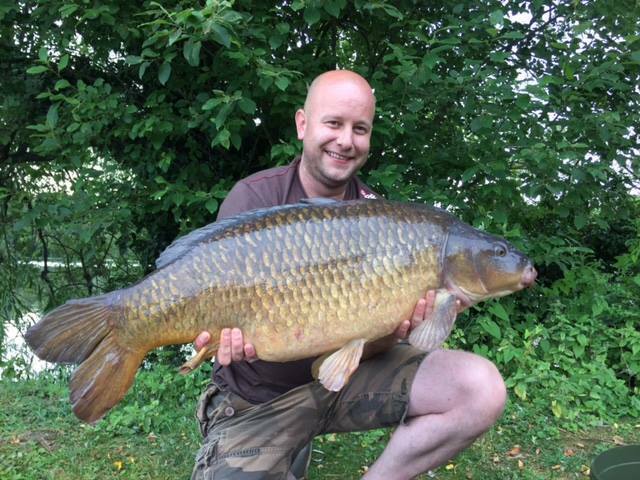 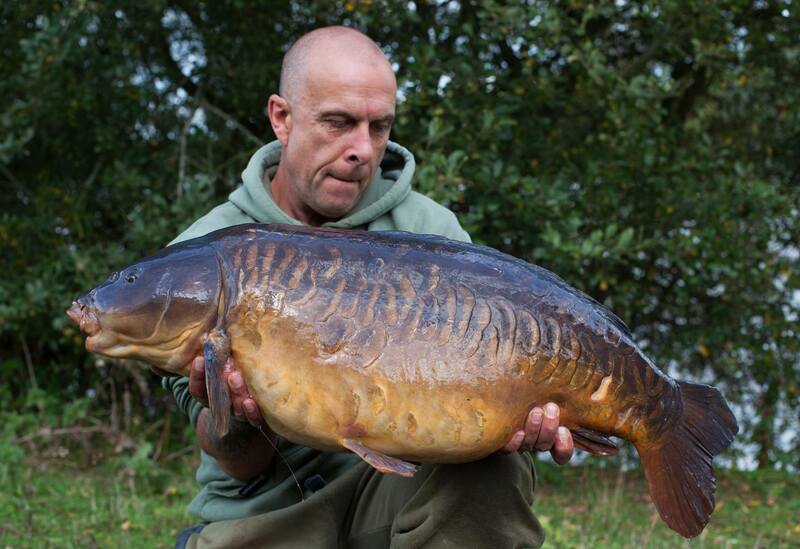 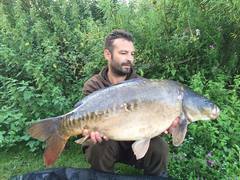 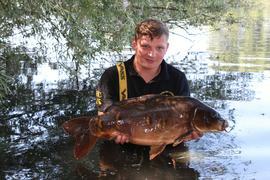 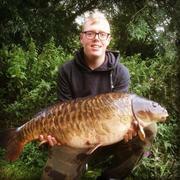 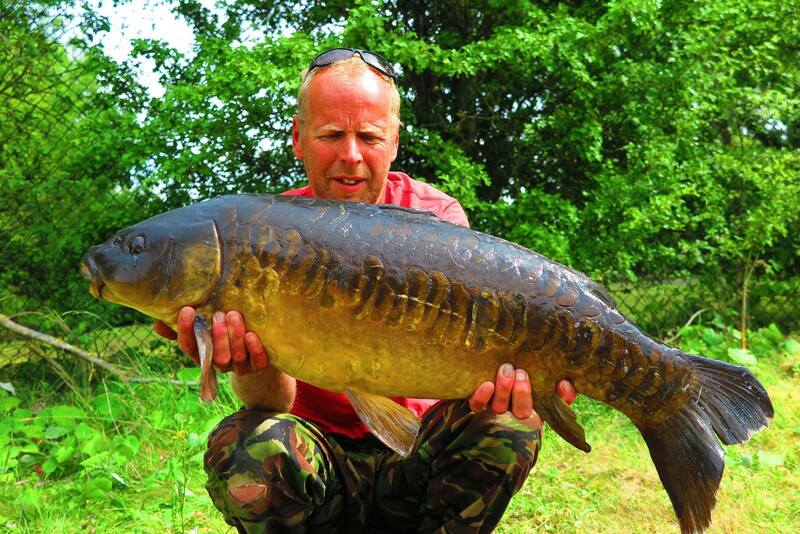 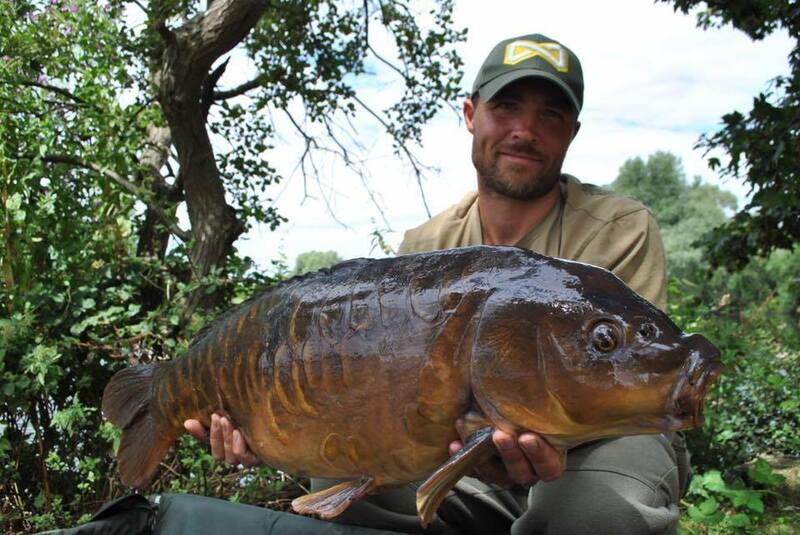 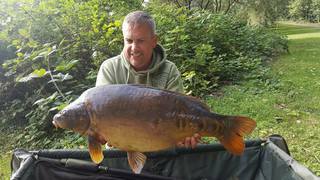 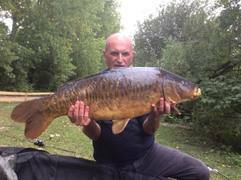 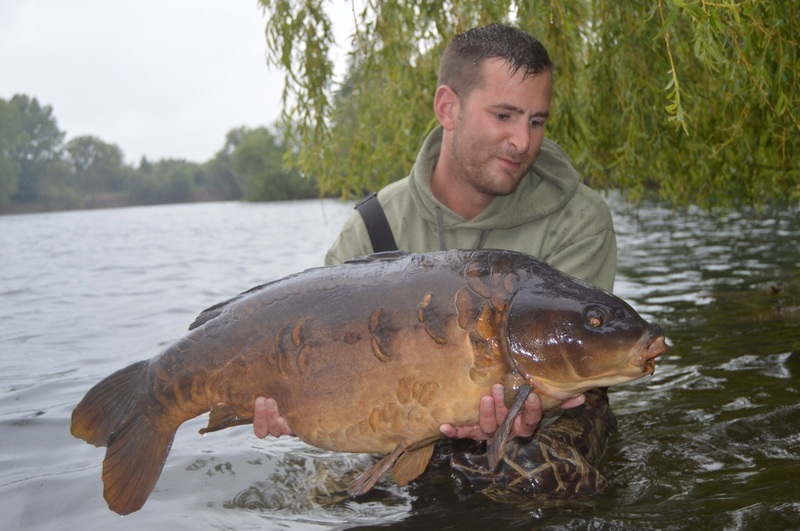 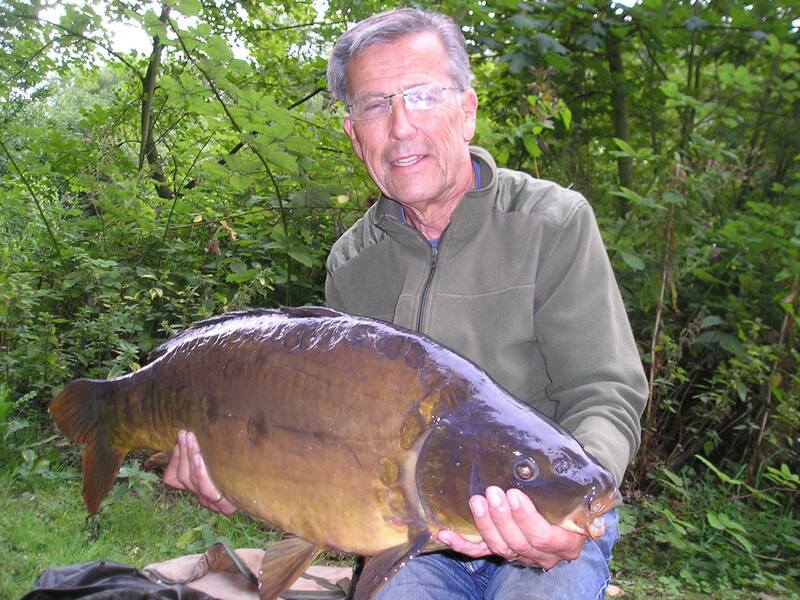 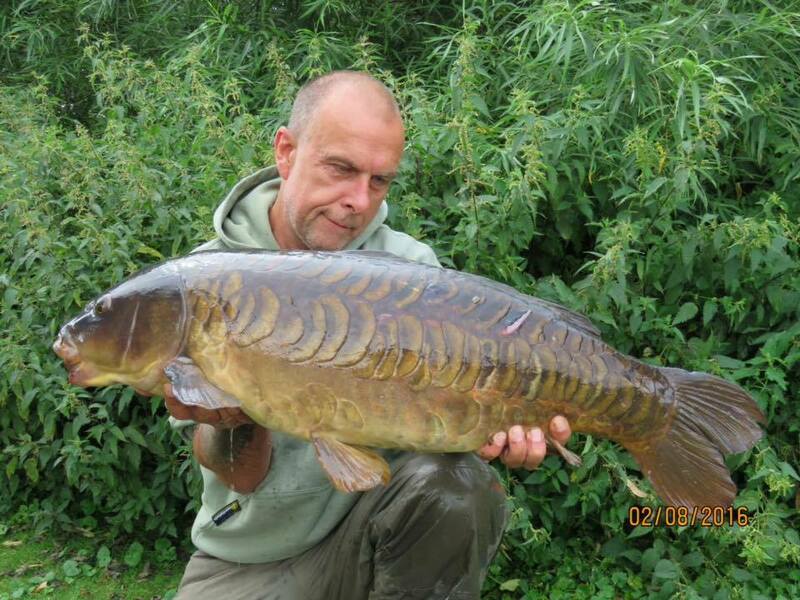 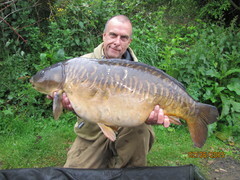 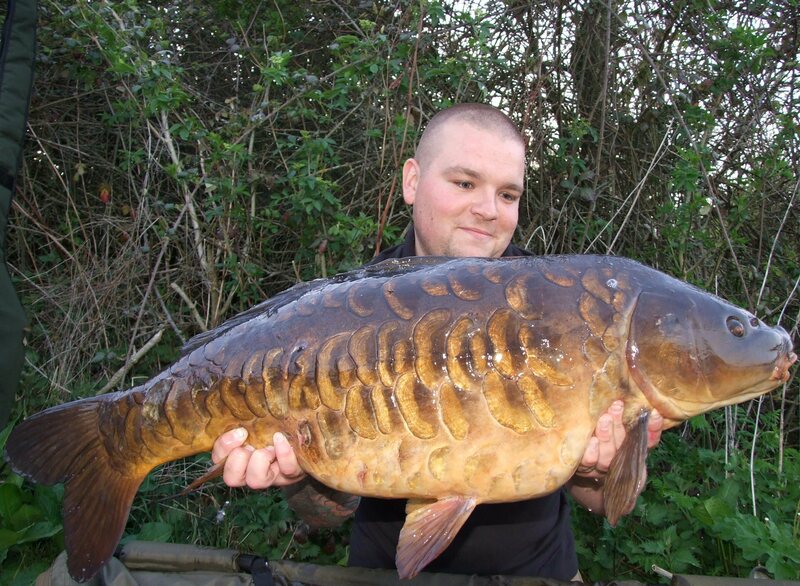 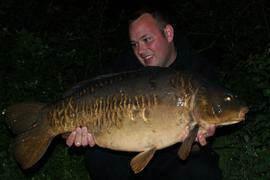 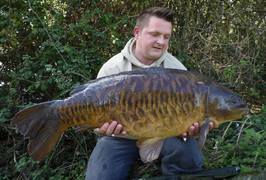 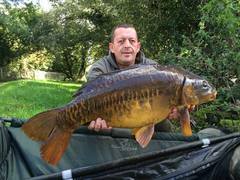 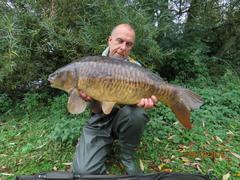 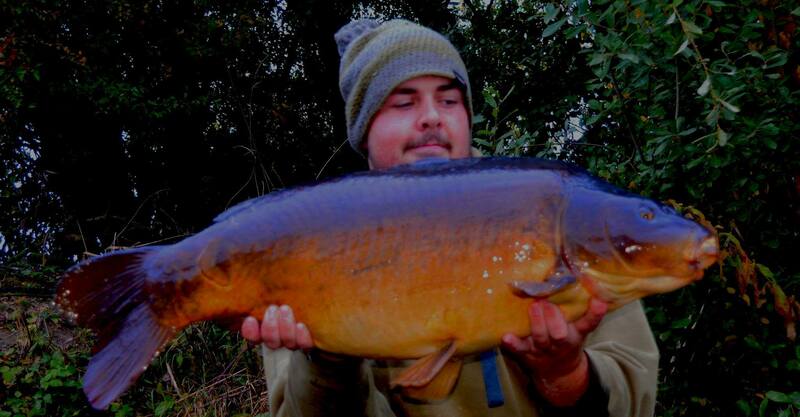 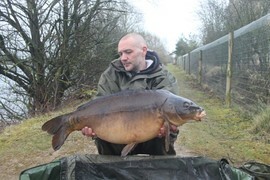 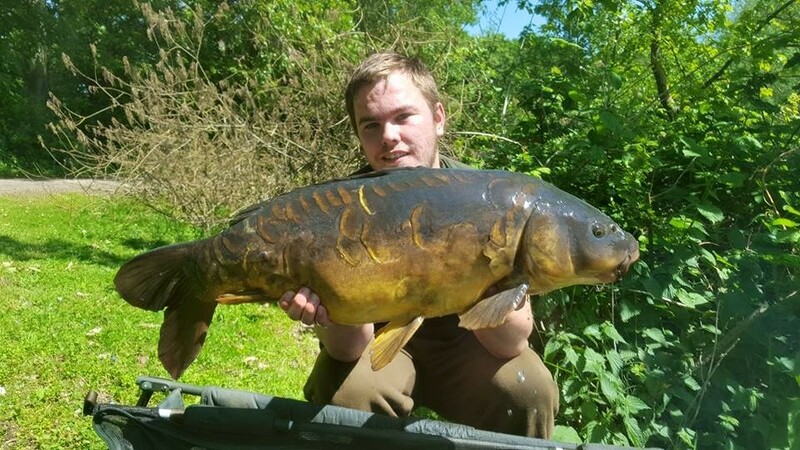 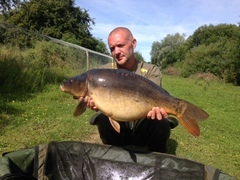 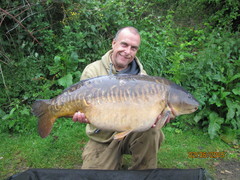 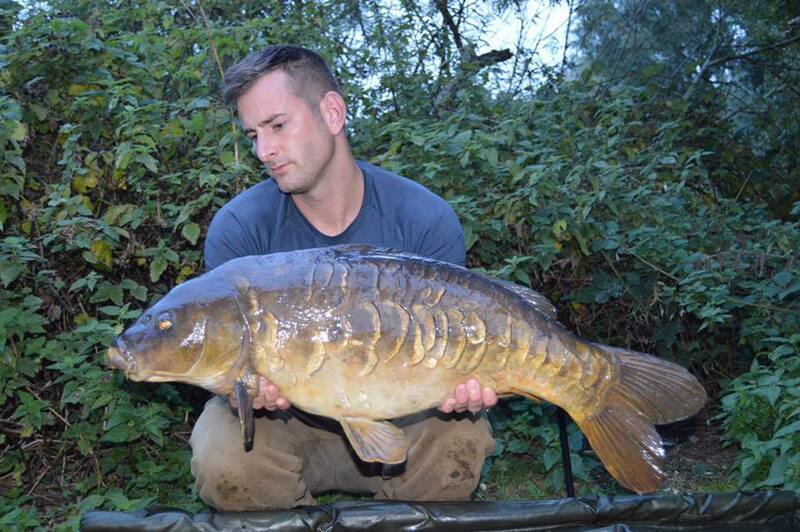 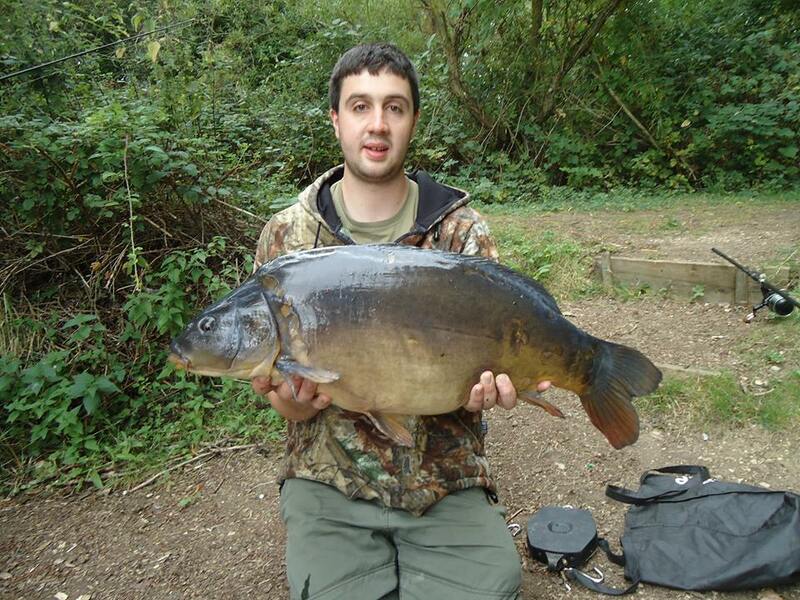 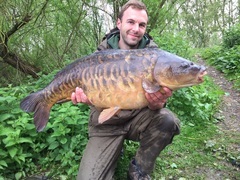 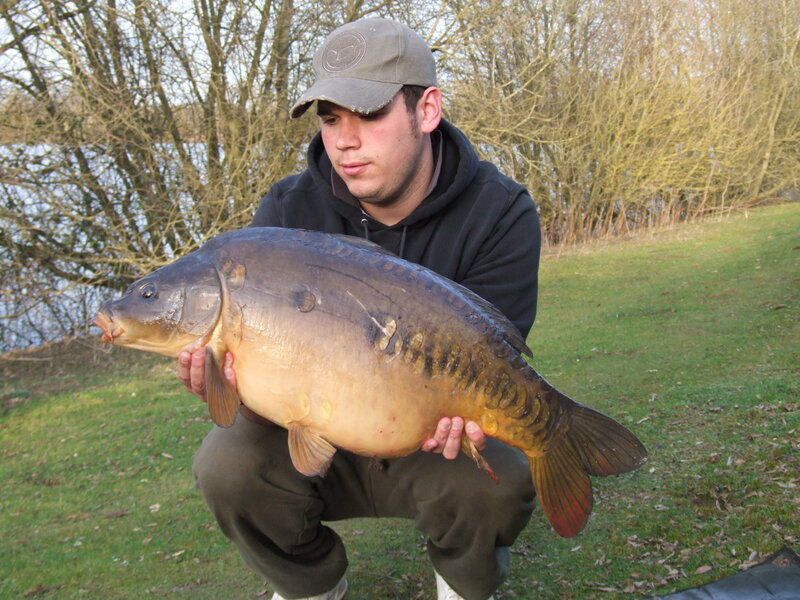 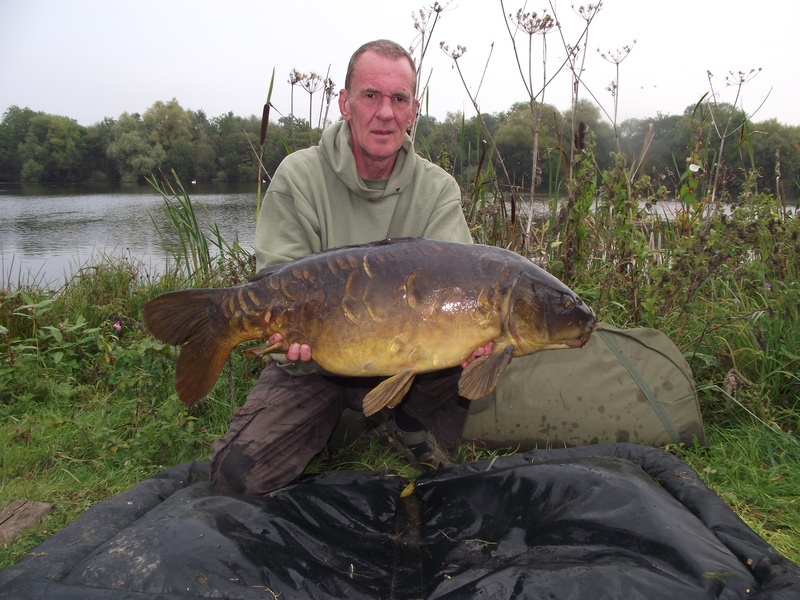 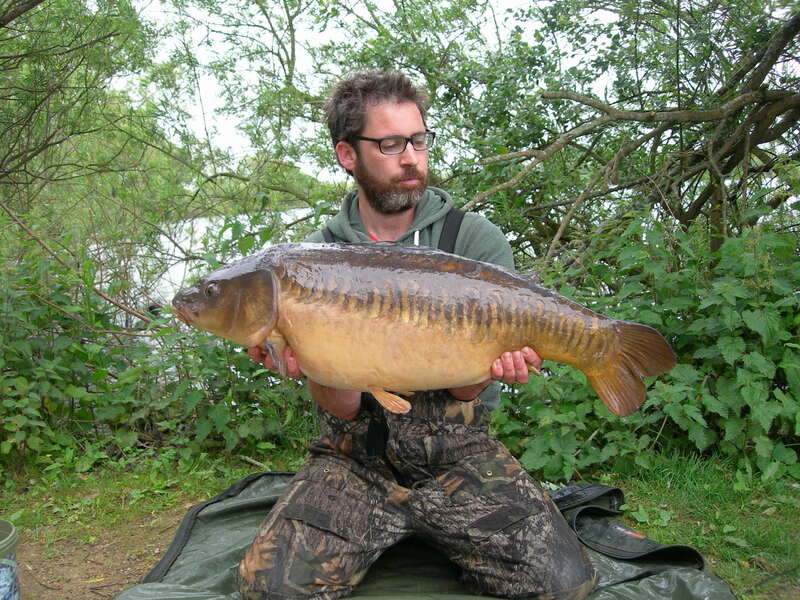 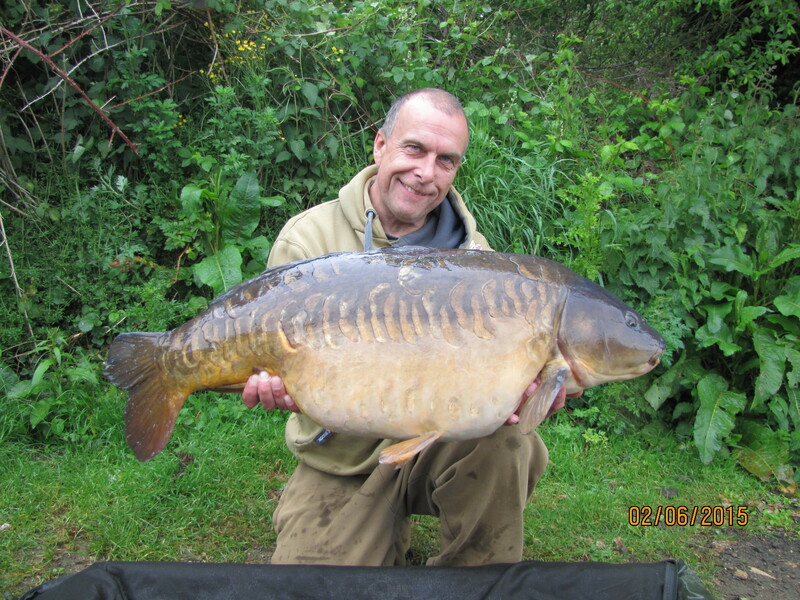 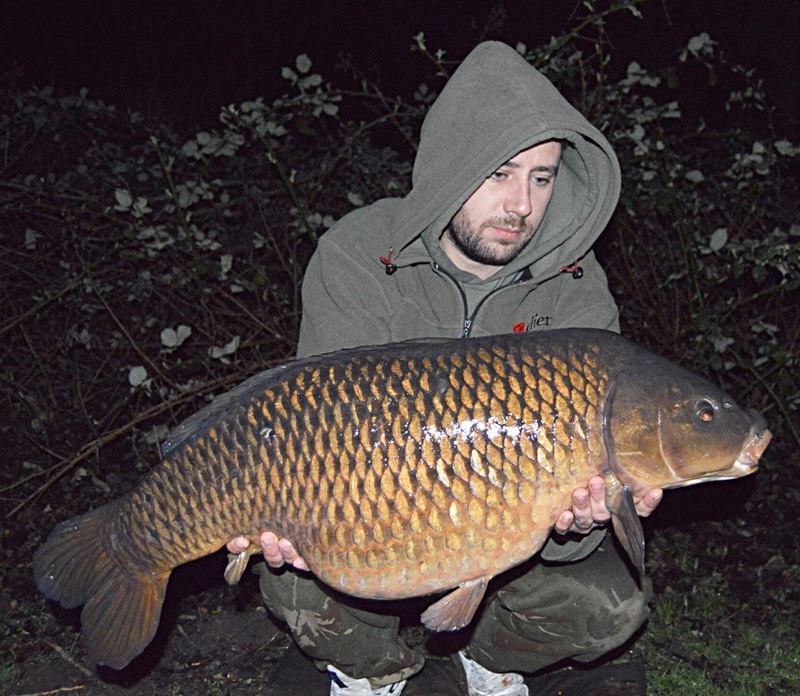 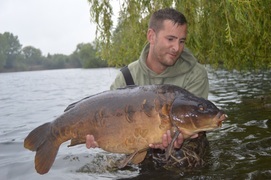 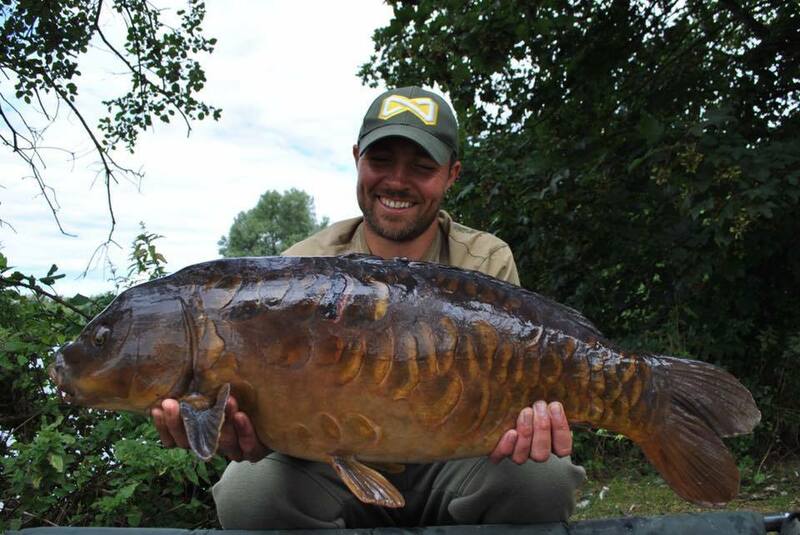 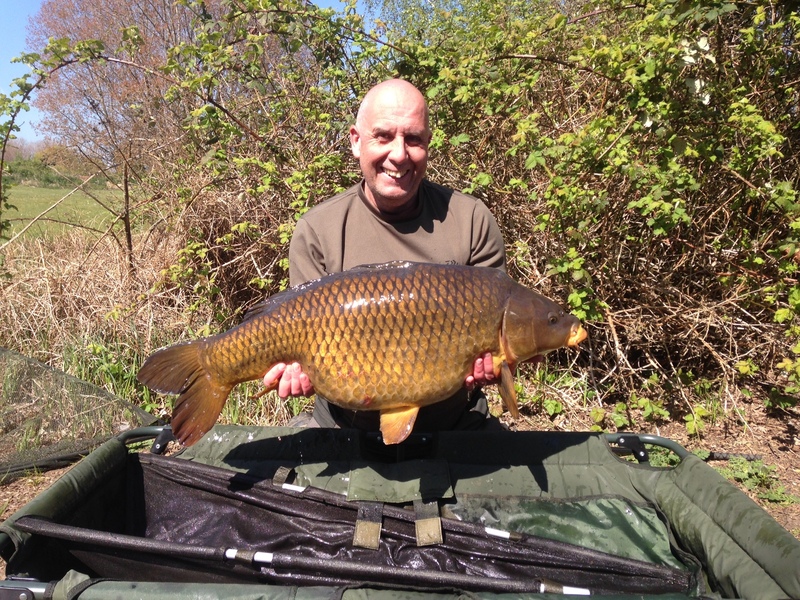 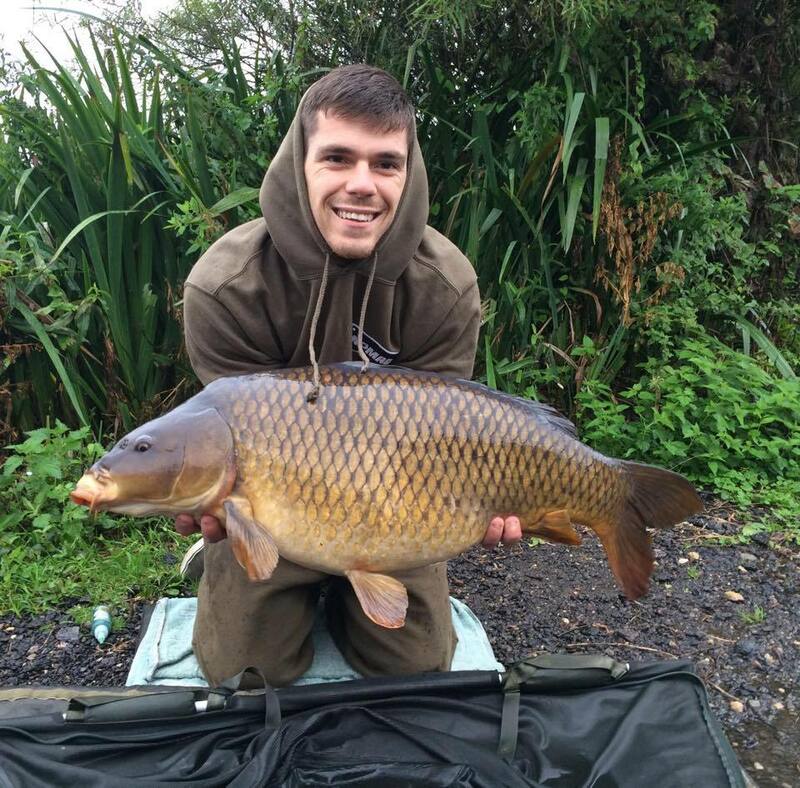 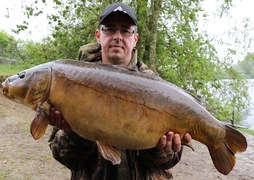 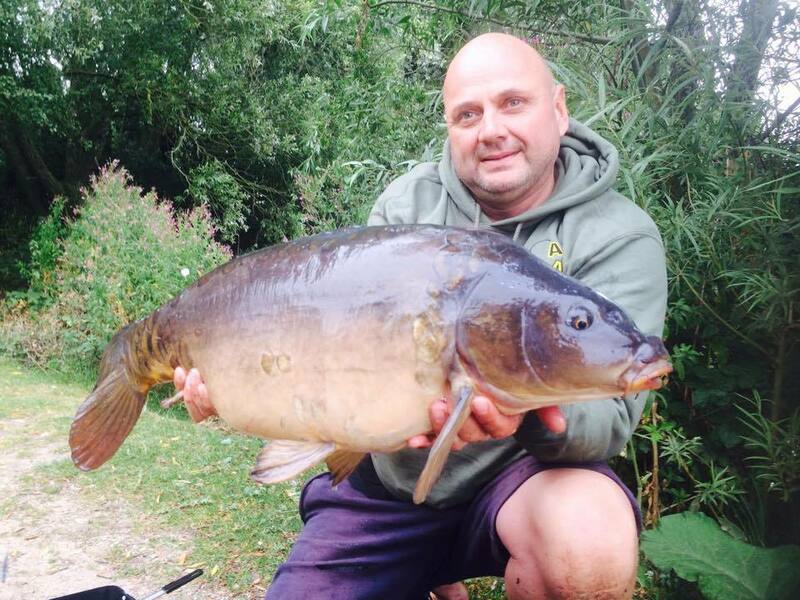 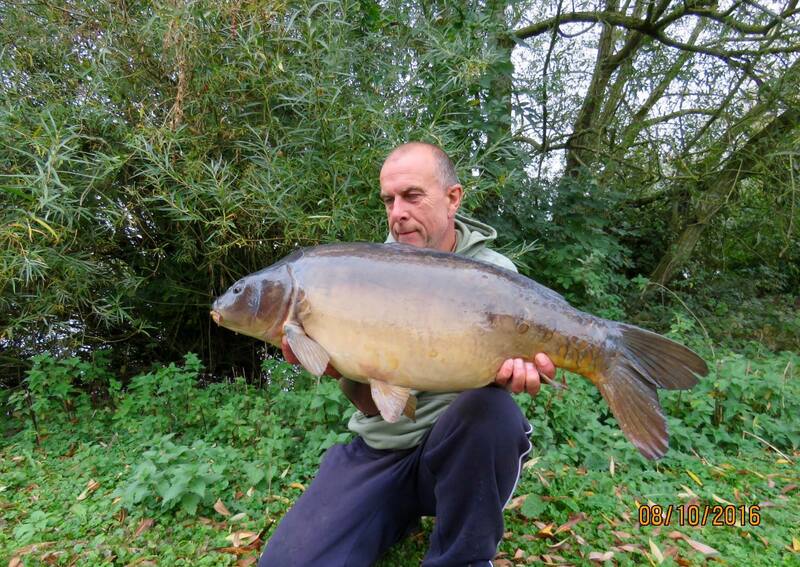 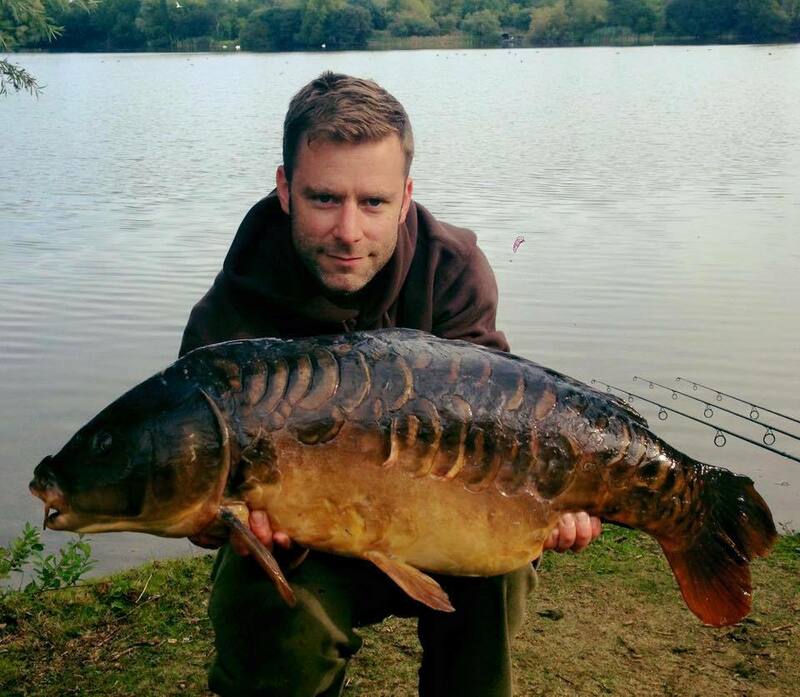 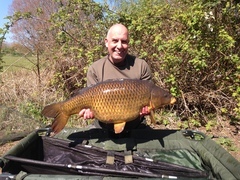 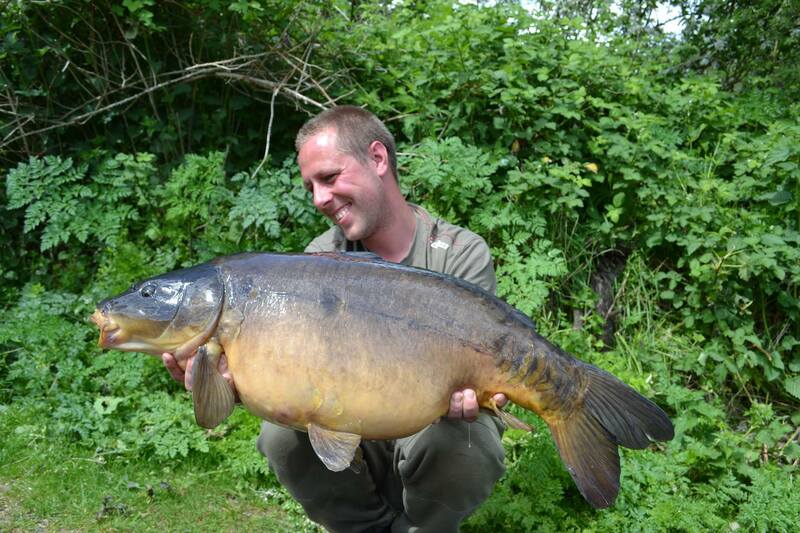 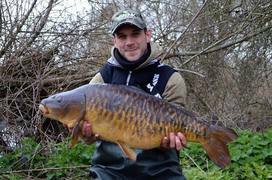 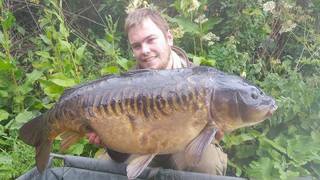 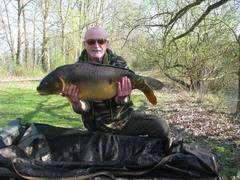 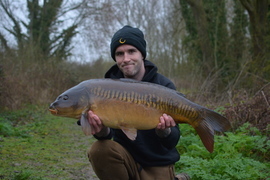 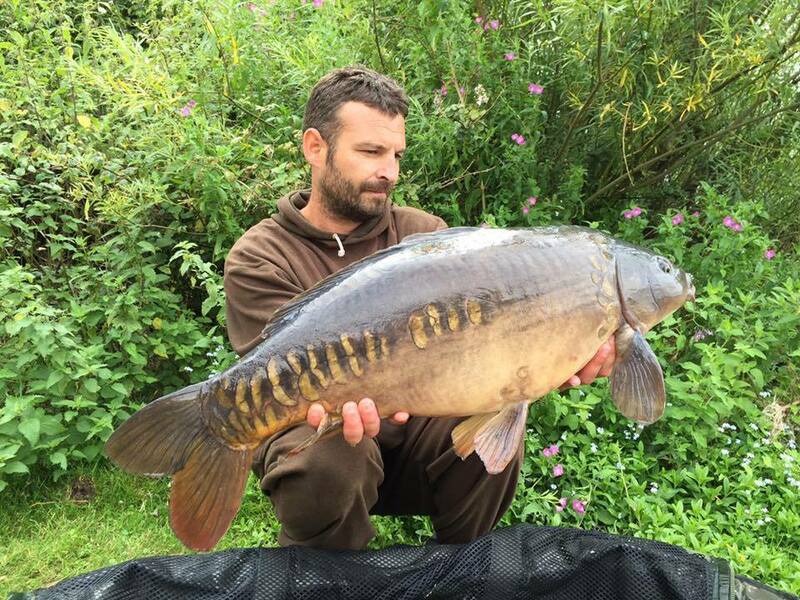 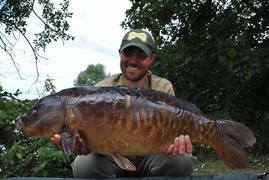 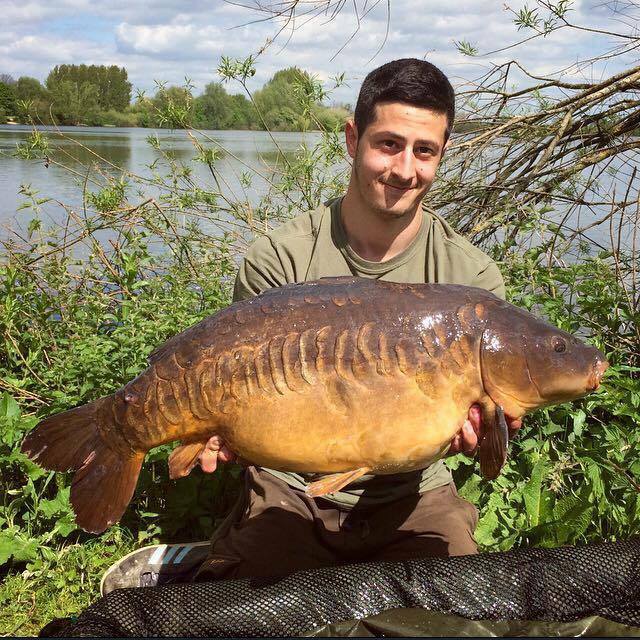 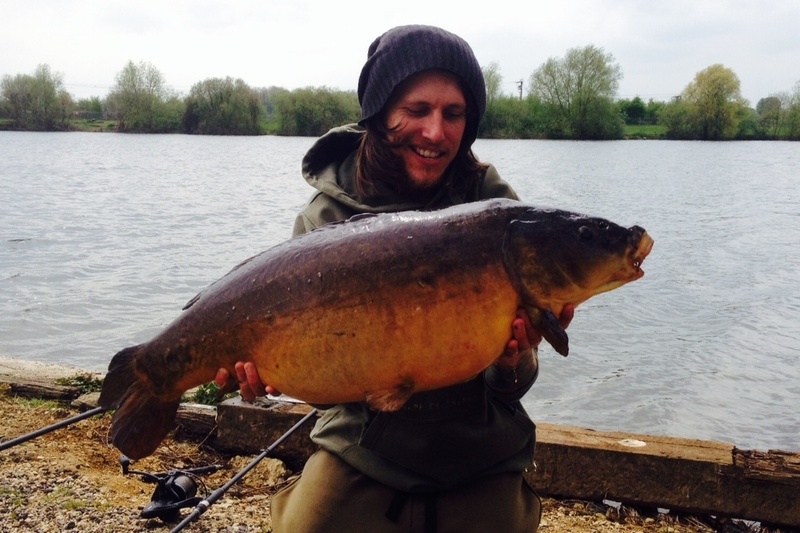 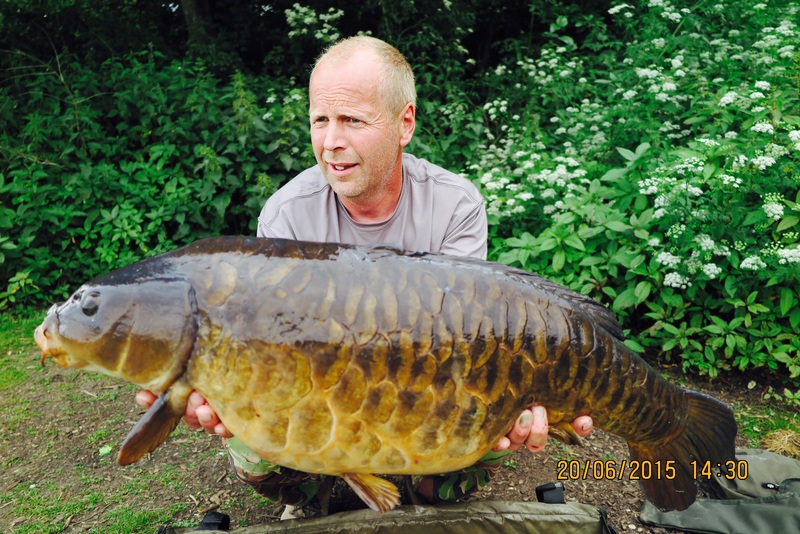 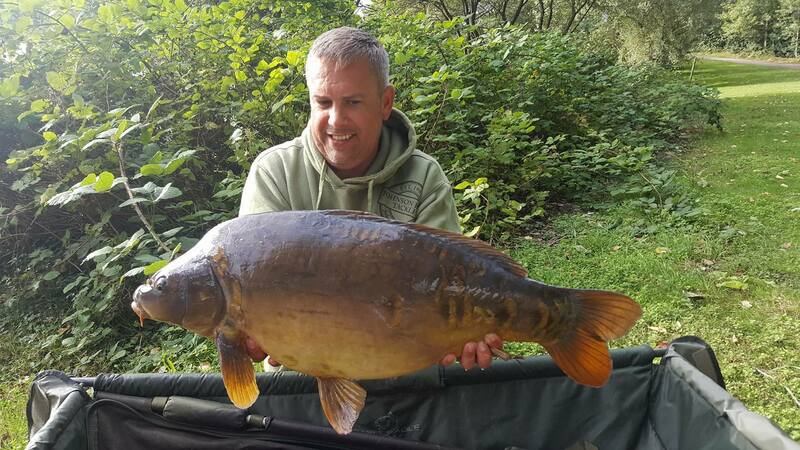 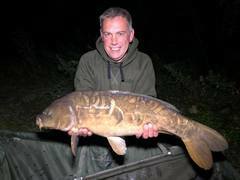 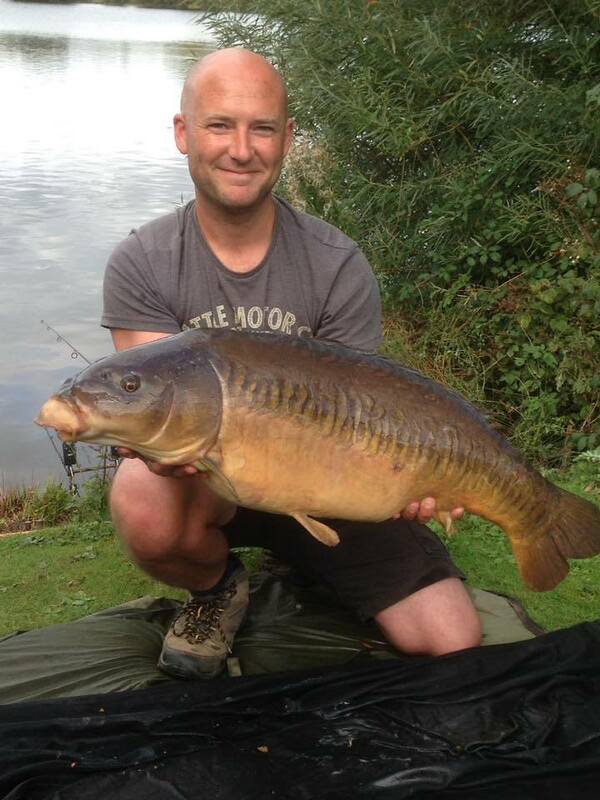 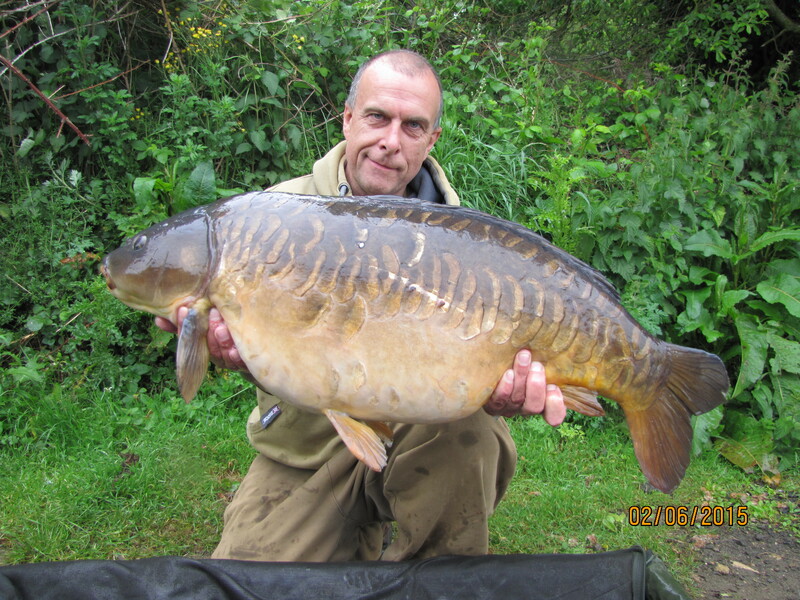 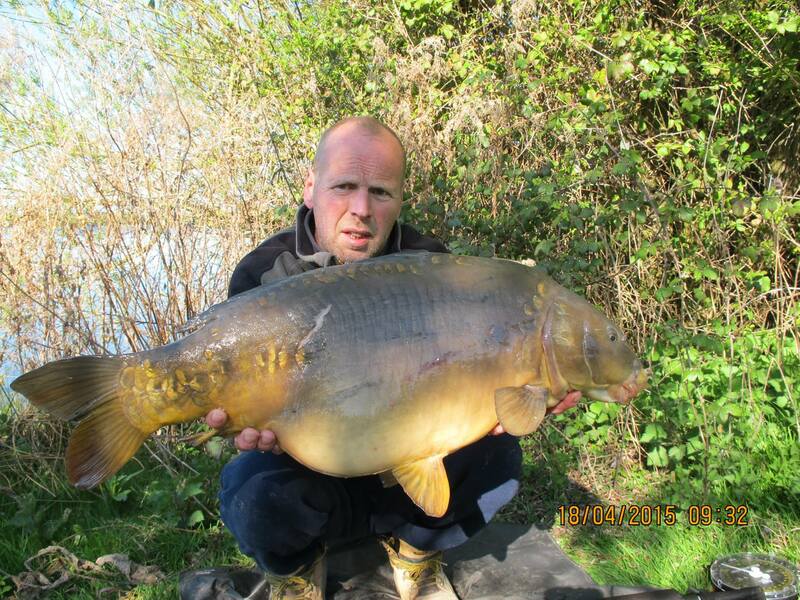 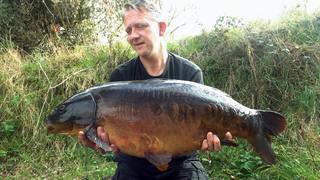 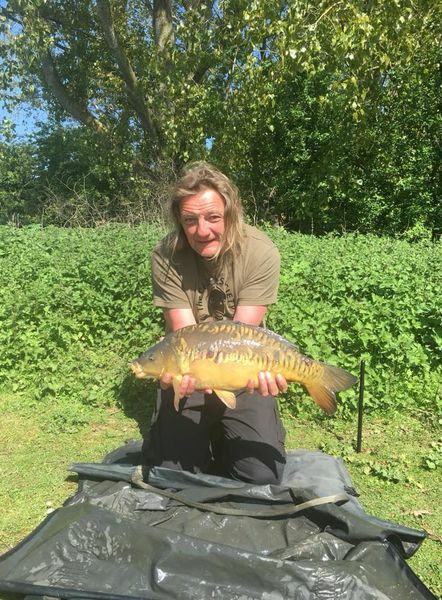 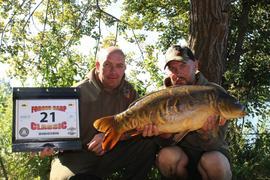 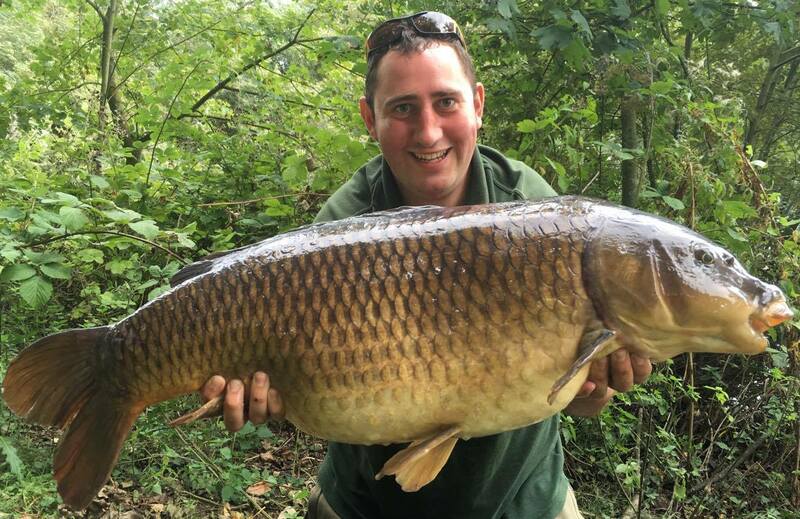 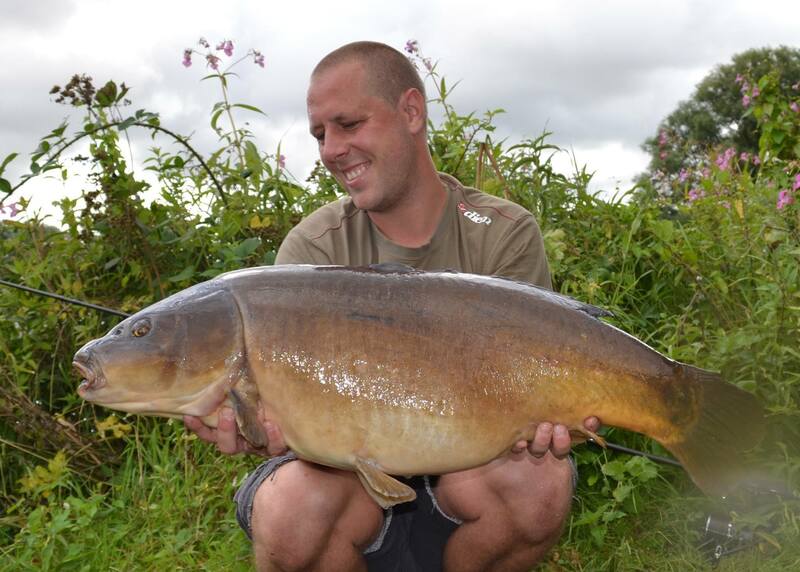 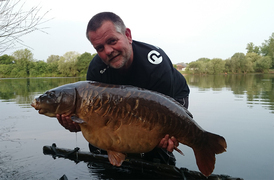 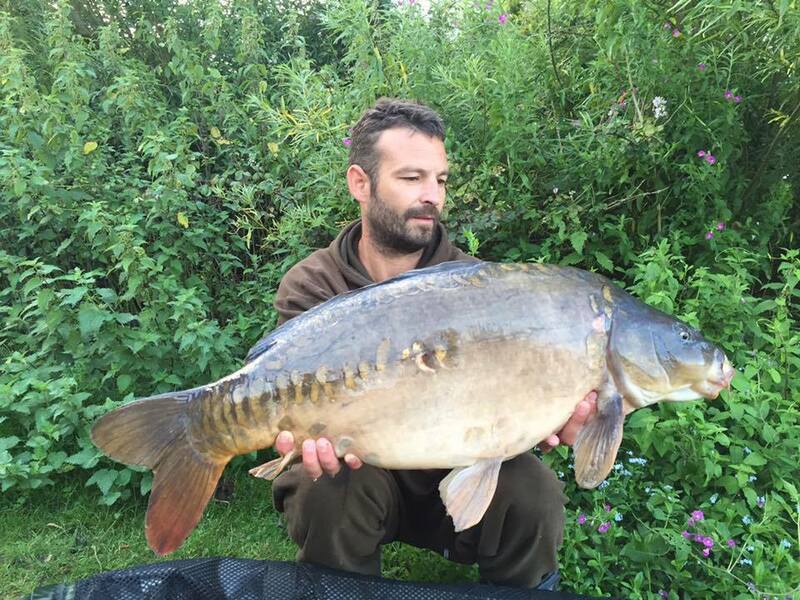 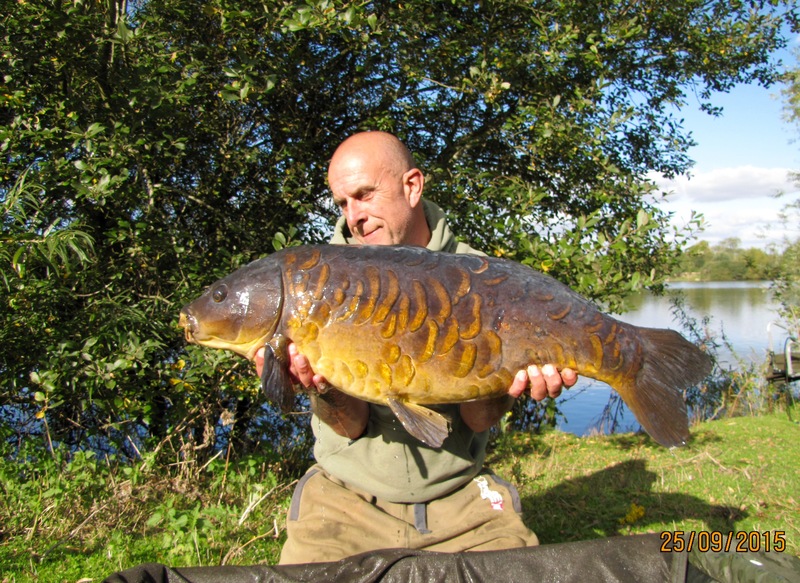 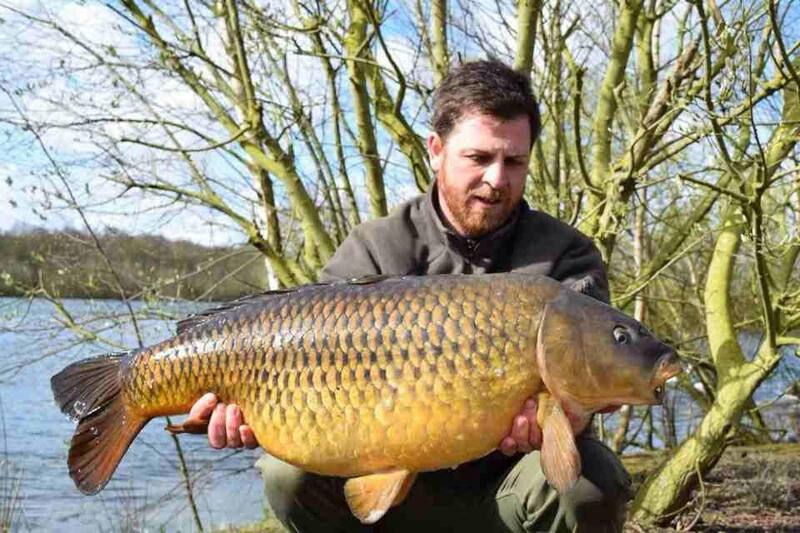 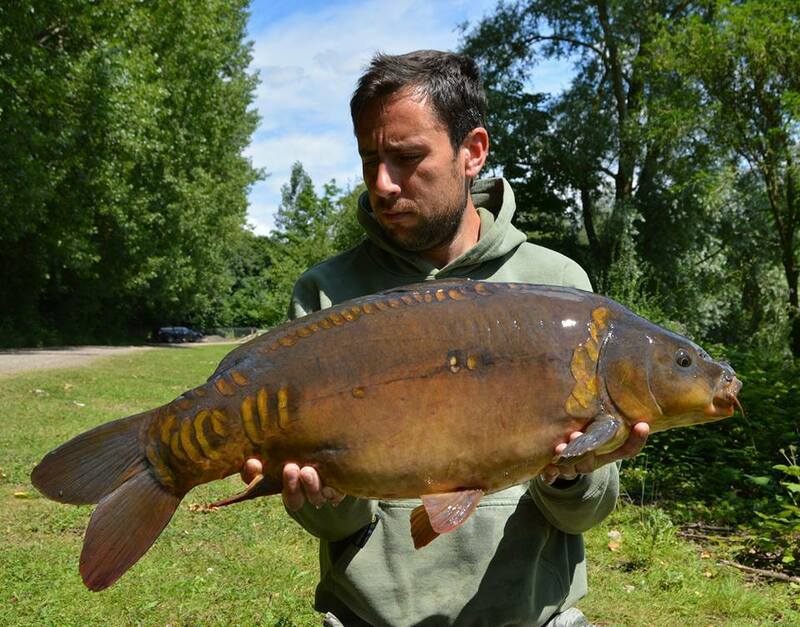 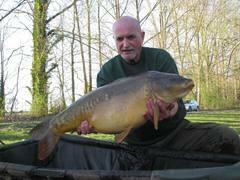 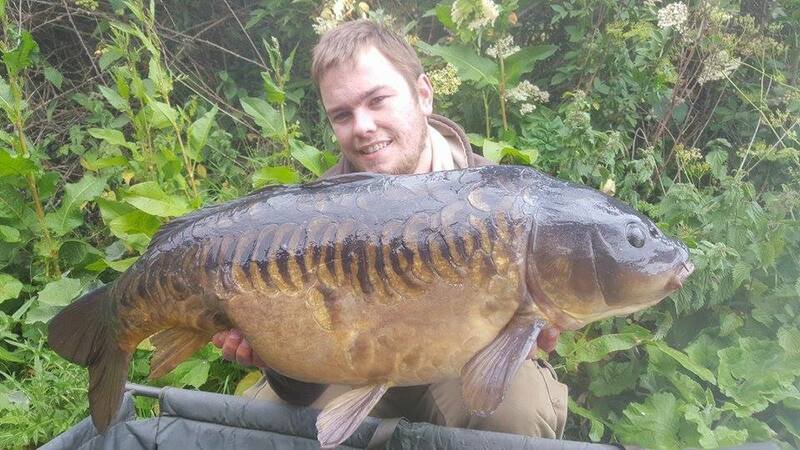 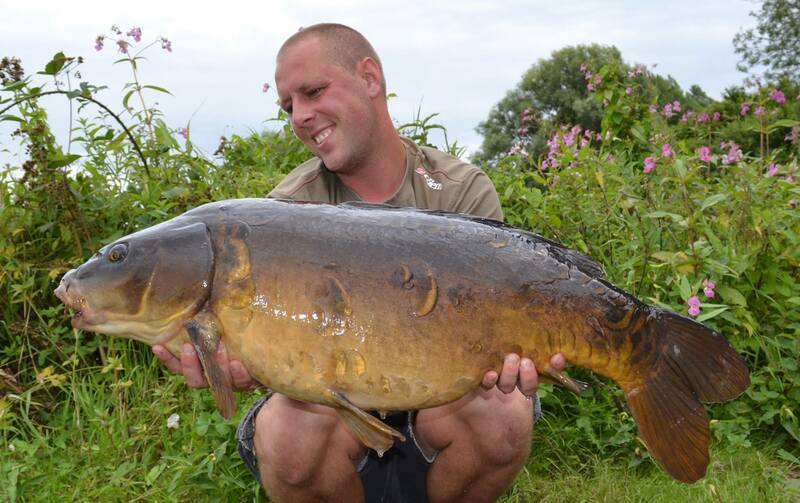 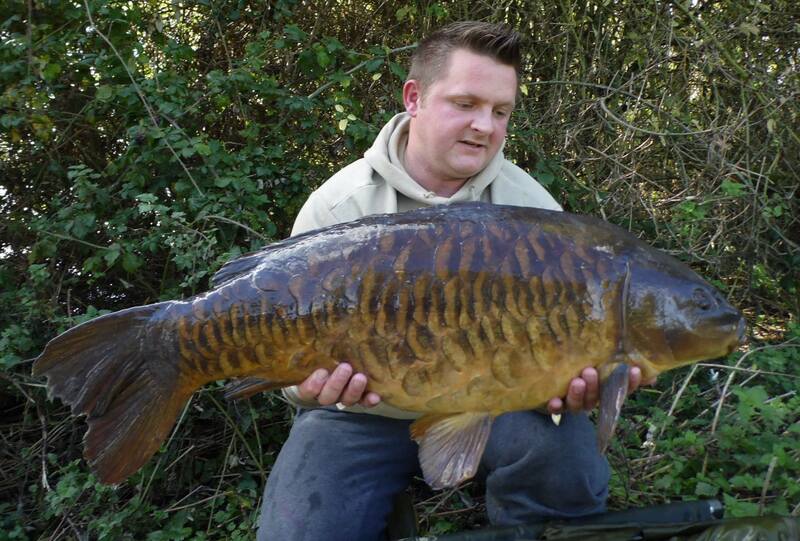 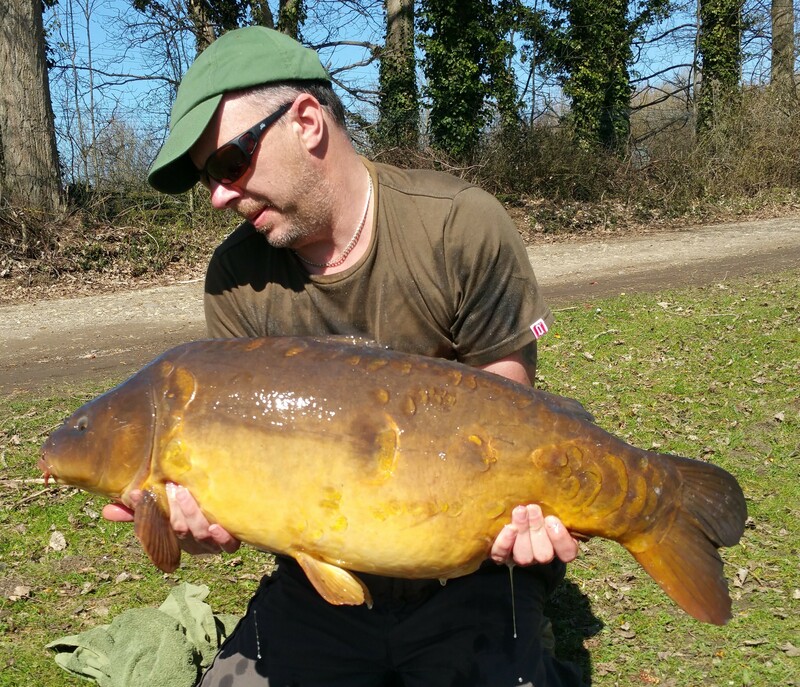 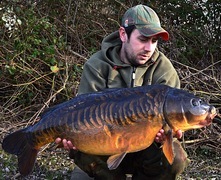 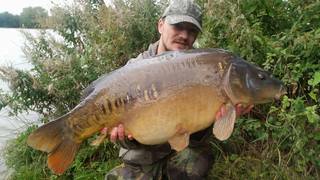 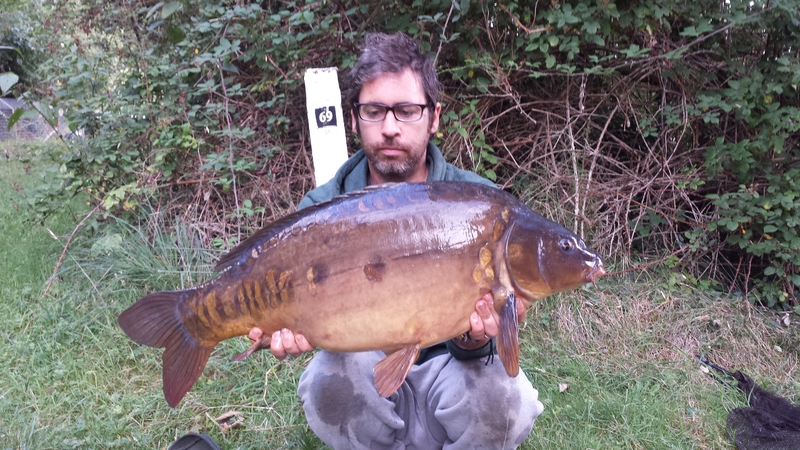 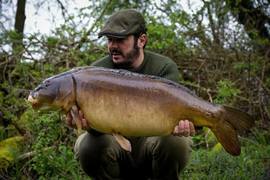 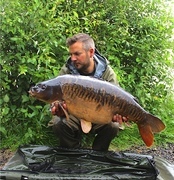 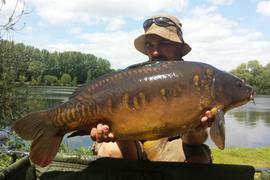 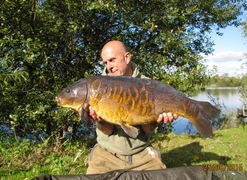 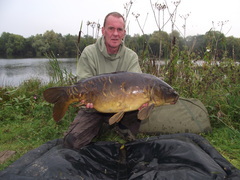 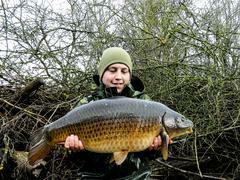 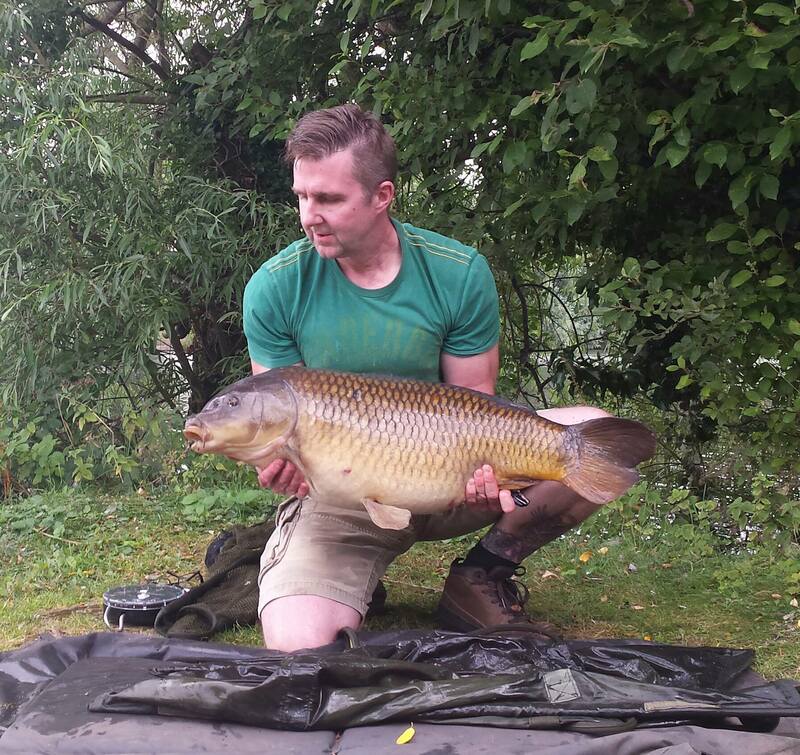 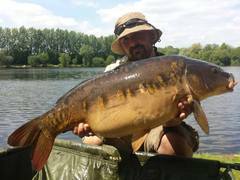 All of our bailiffs are highly experienced anglers and are here to help. See 'Tickets' on the sub-menu above for full information. 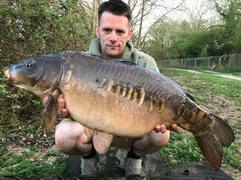 Tickets are purchased from Horseshoe Specialist Tackle Shop located in the Lodge, where we stock a wide range of quality consumables, tackle and baits from the leading manufacturers. 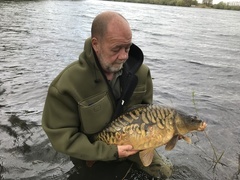 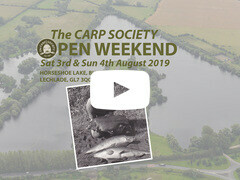 The purchase of Horseshoe Lake was the icing on the cake and the radical stimulus that catapulted The Carp Society from a small body of likeminded individuals sharing snippets of information, into a strong organisation with 6,000 members. 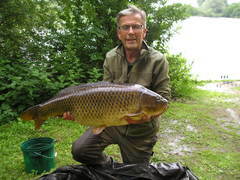 After the initial formation of The Society, buying Horseshoe was, and still is, the most significant thing to have happened to Carp fishing in modern times. 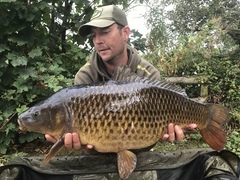 Many of today's carp angling 'Celebrities' cut their teeth, gained their reputations on Horseshoe, and owe a great deal of their success in life to the Society in general and Horseshoe in particular. 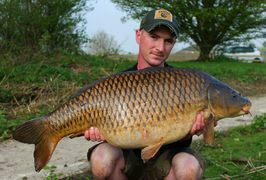 Most importantly of all though, Horseshoe Lake has, and continues to, provide enjoyment for thousands of carp anglers throughout the land. 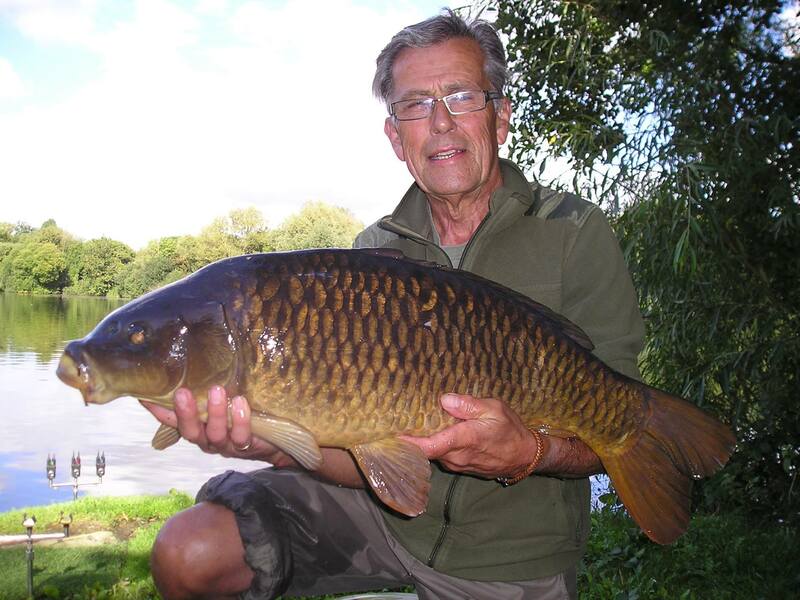 Anglers come from far and wide to enjoy the Horseshoe experience, and why wouldn't they? 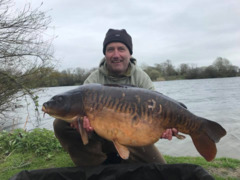 Set in the beautiful tranquil surroundings of The Cotswolds, at the northern fringe of the market town of Lechlade on the A361 near to Burford, on the Oxfordshire Gloucestershire border. 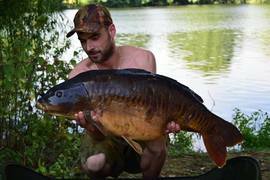 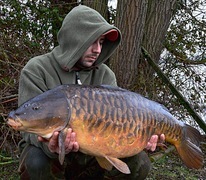 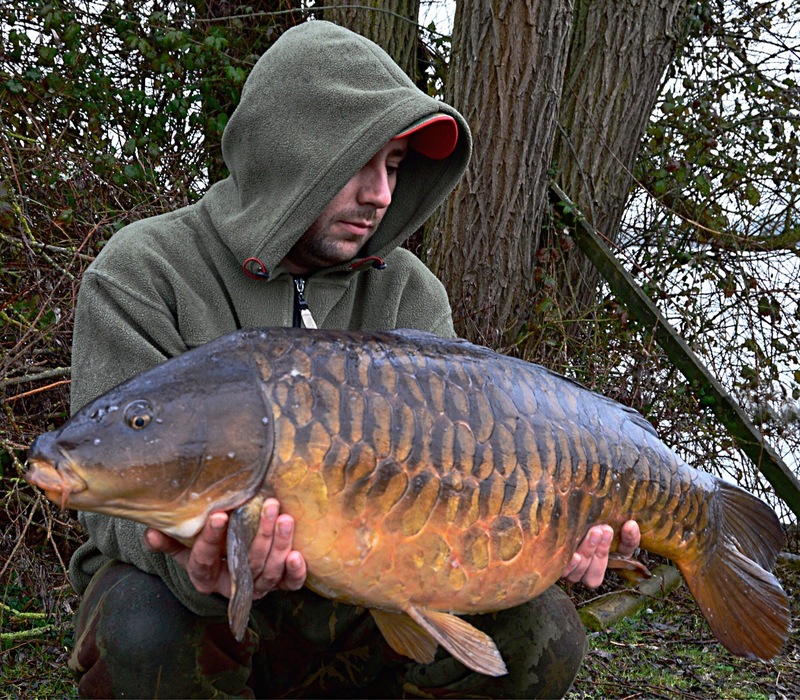 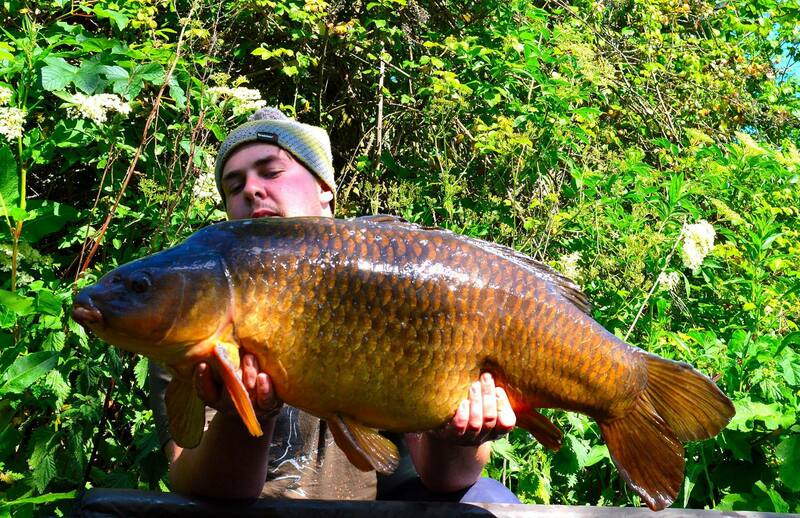 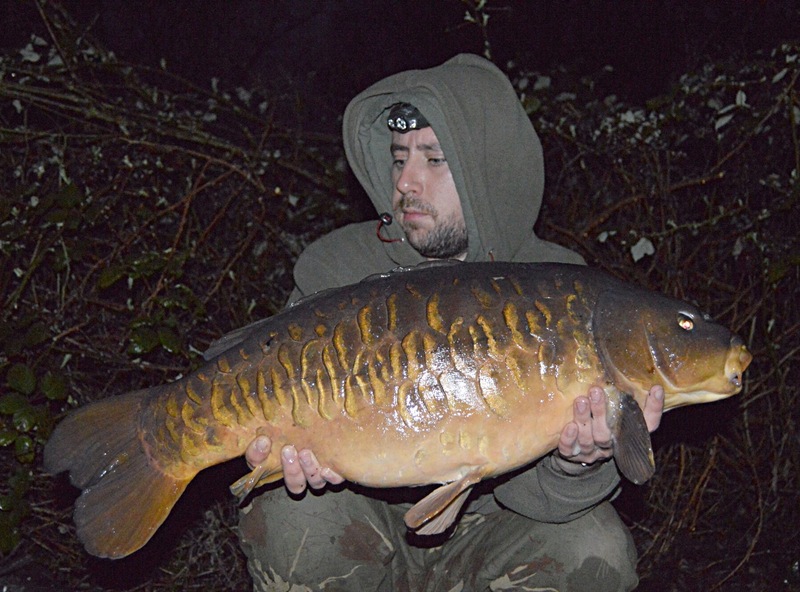 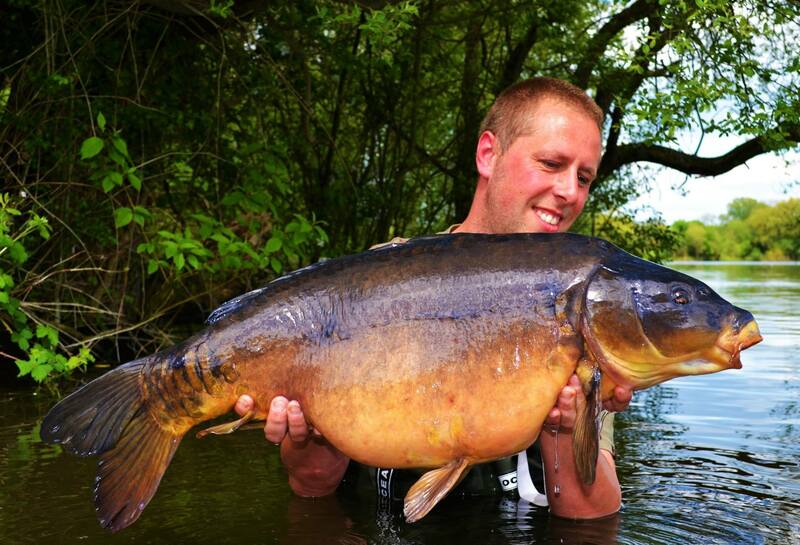 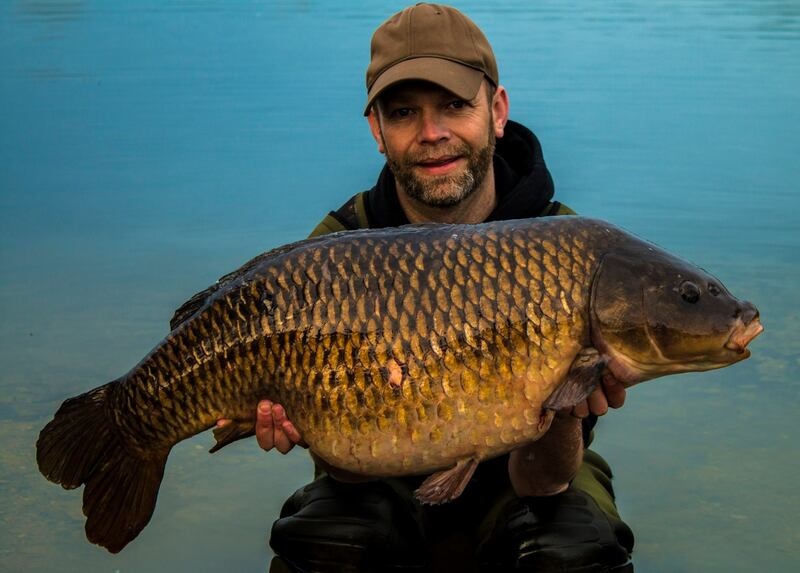 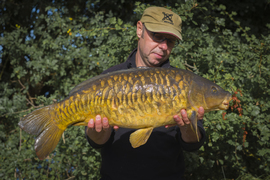 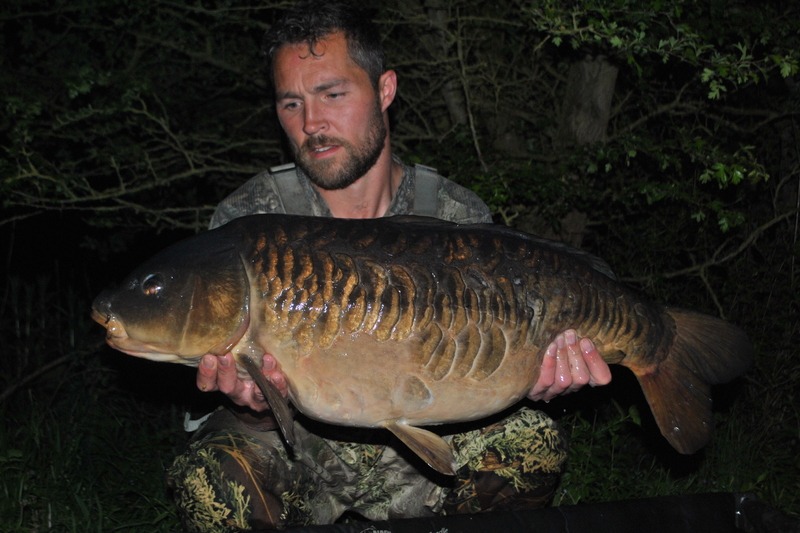 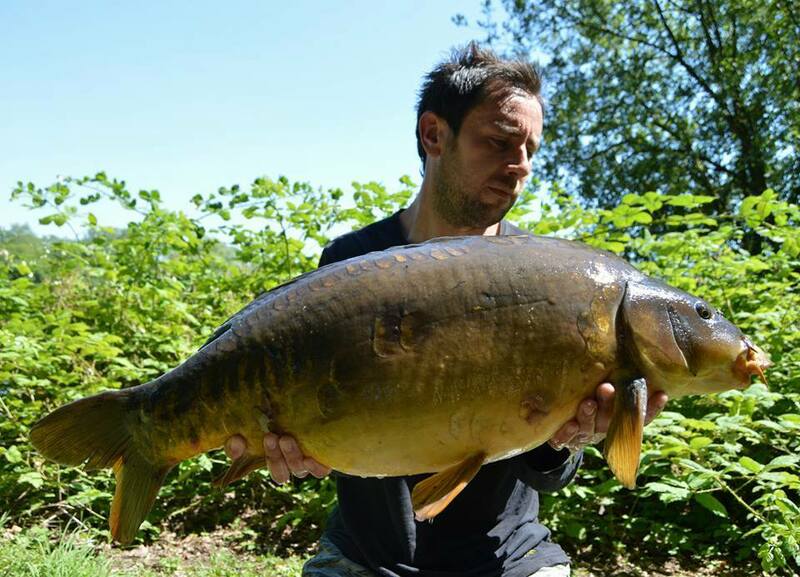 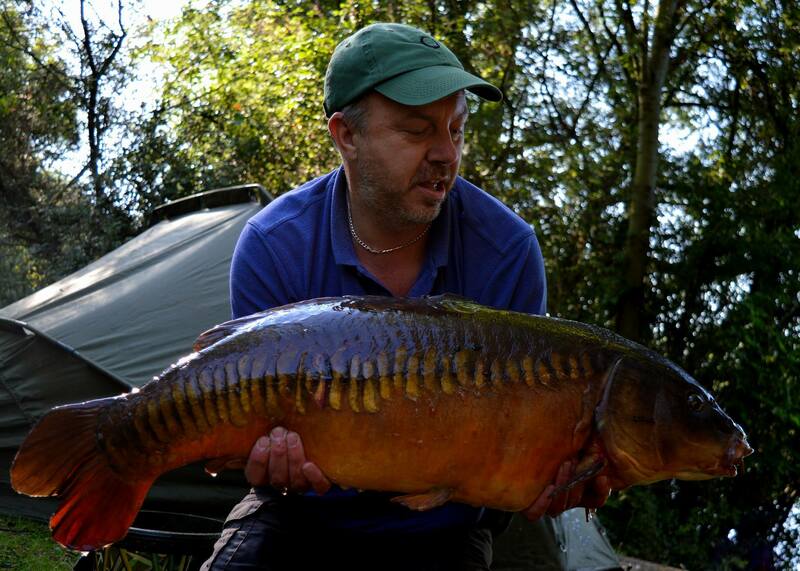 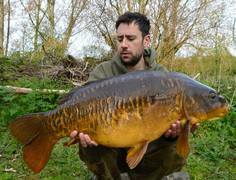 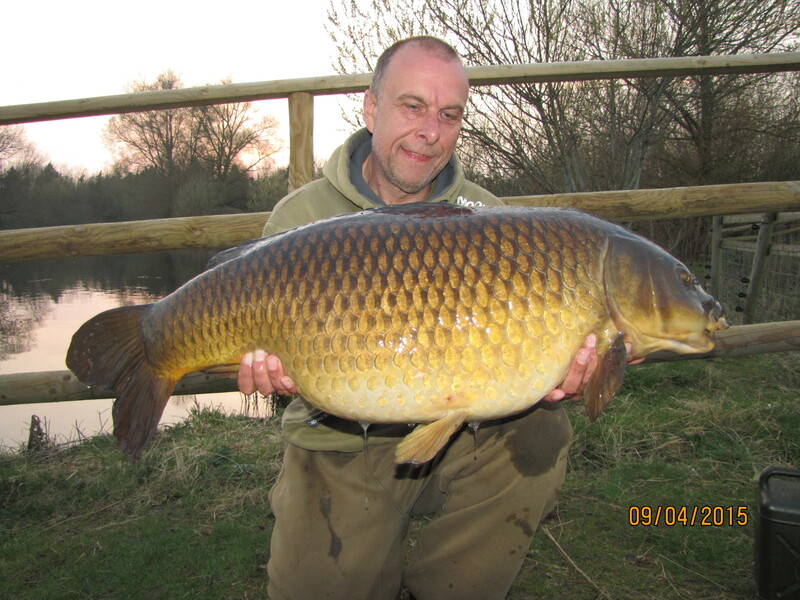 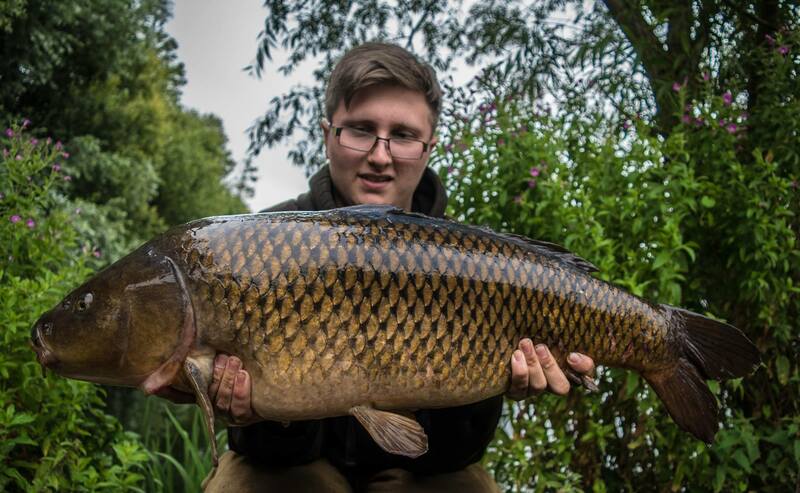 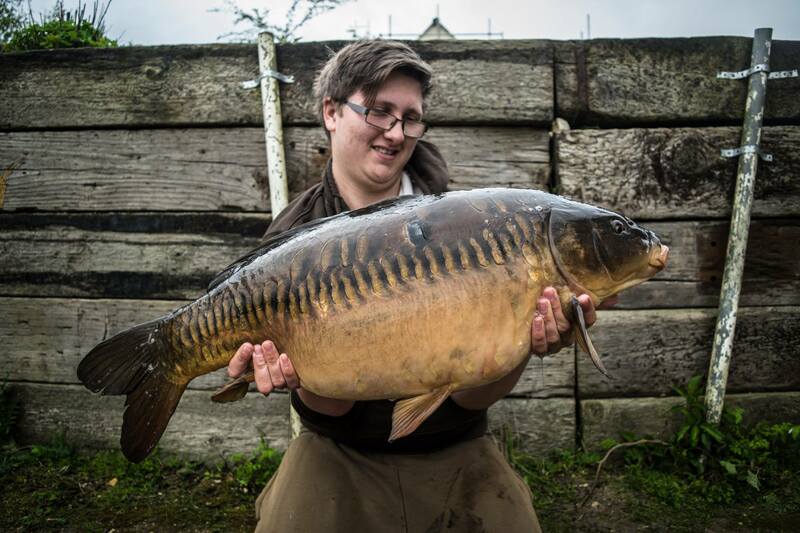 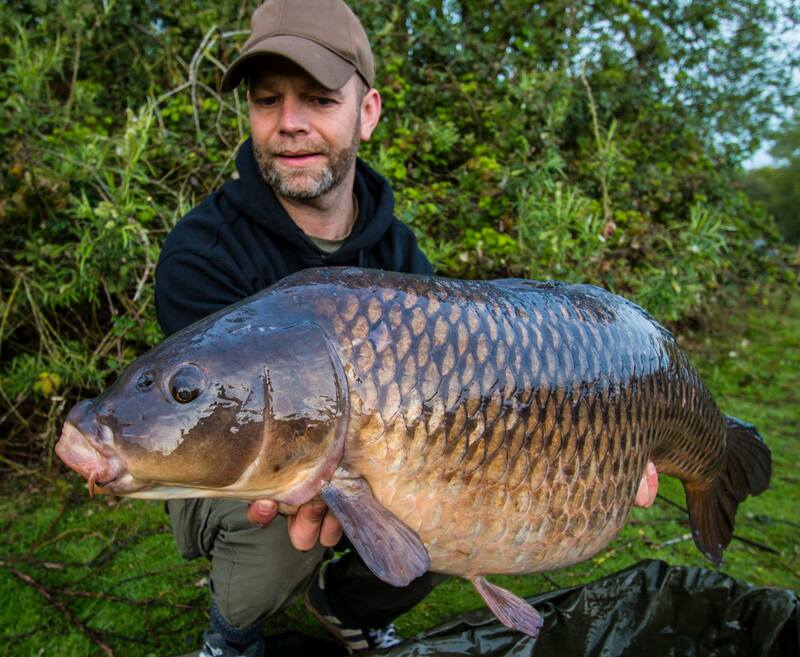 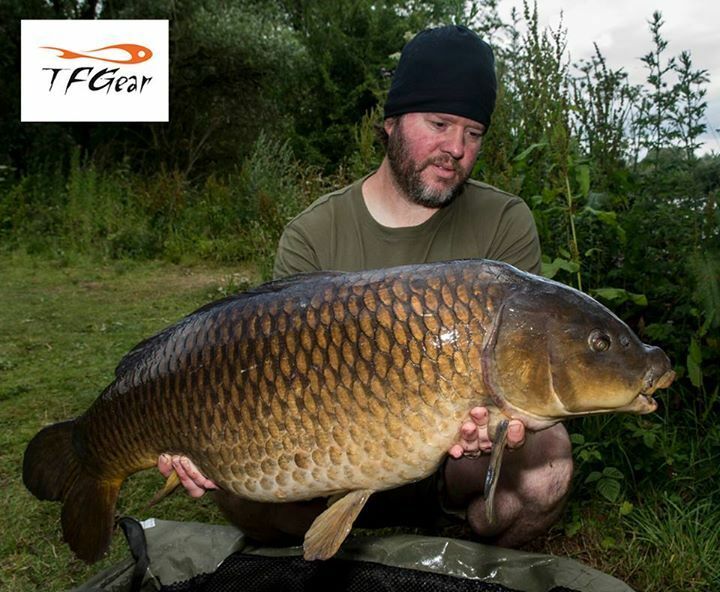 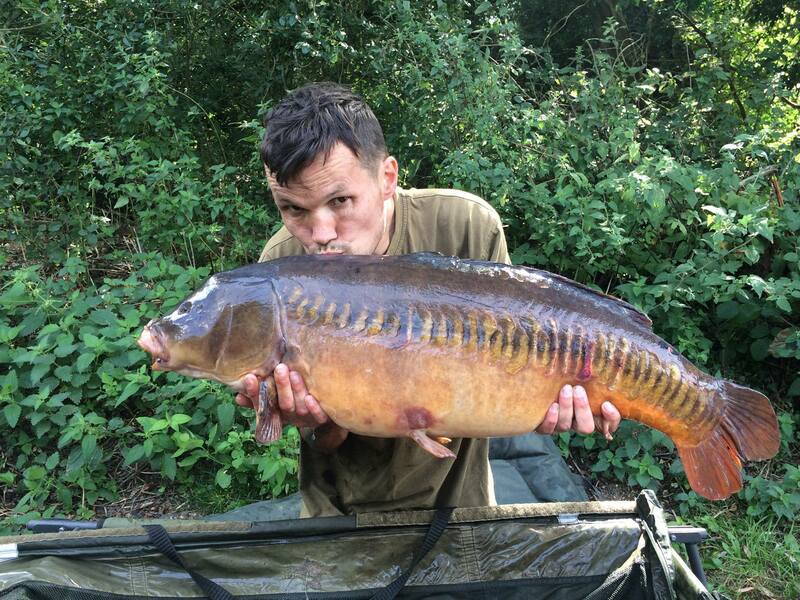 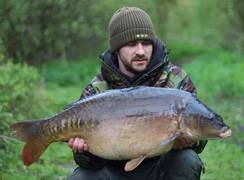 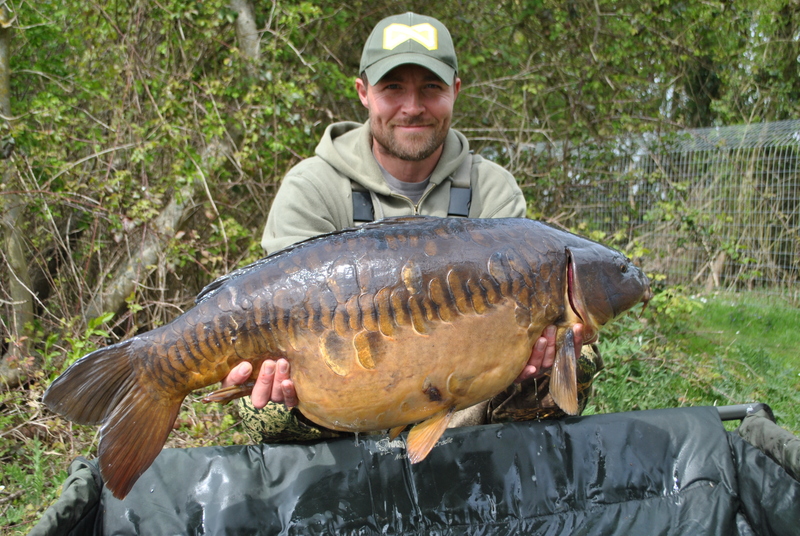 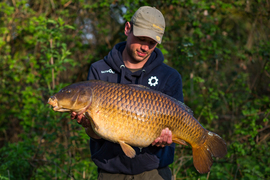 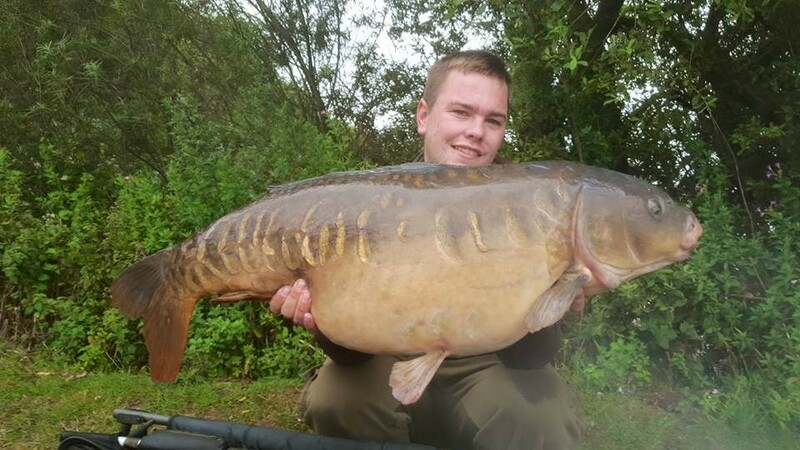 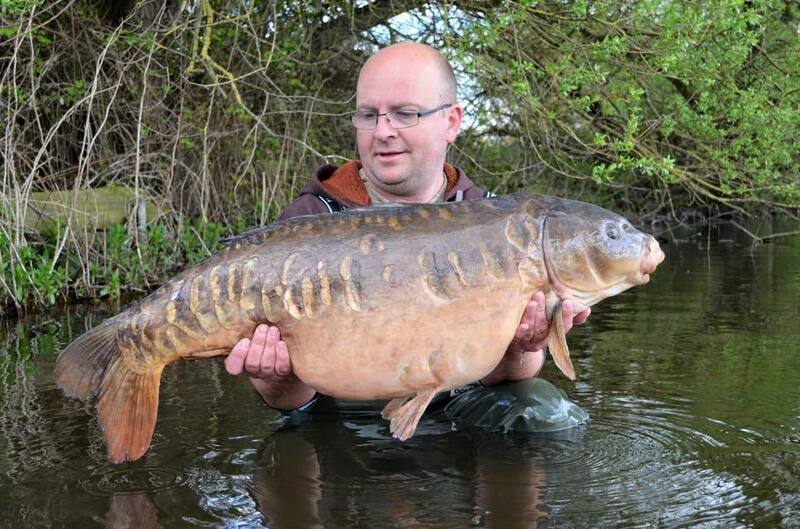 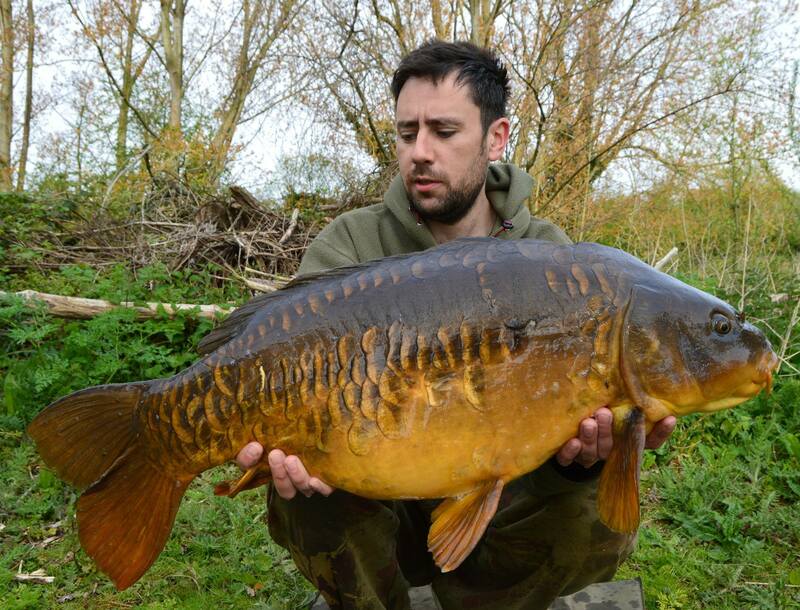 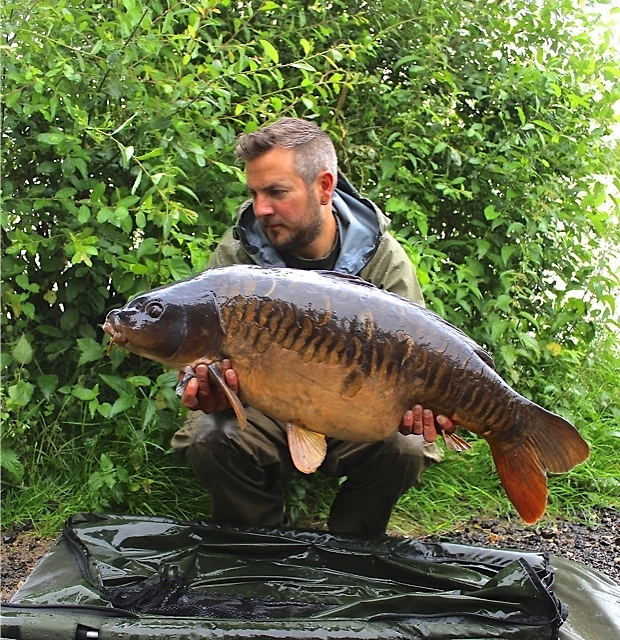 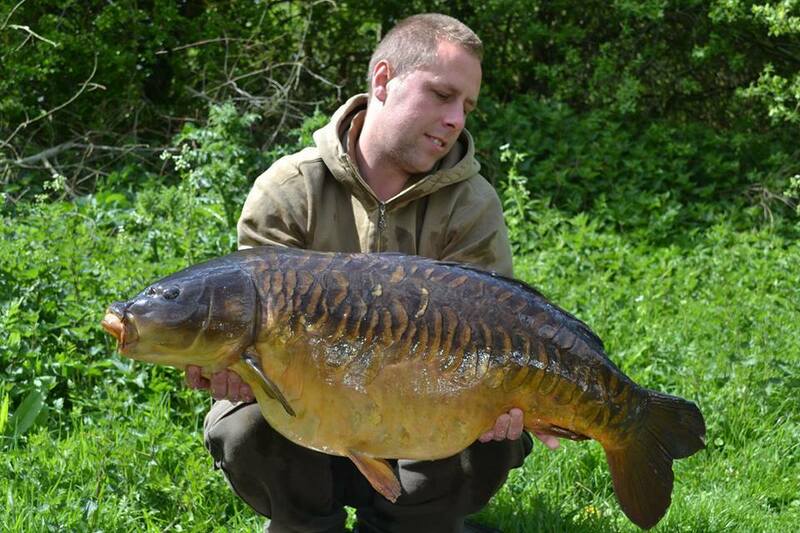 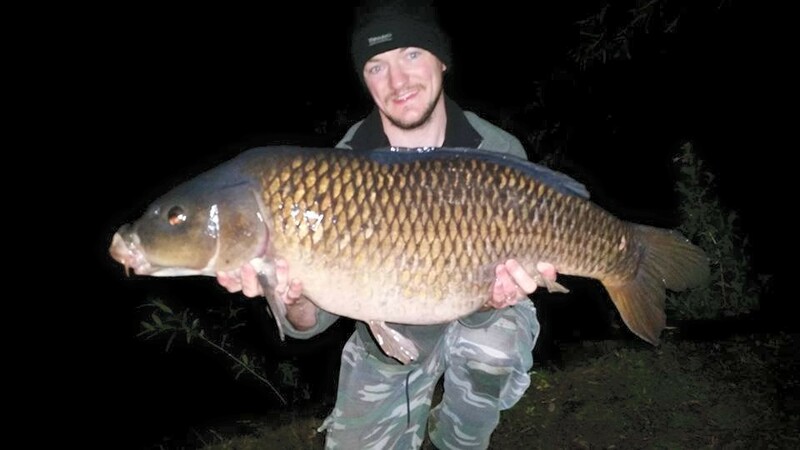 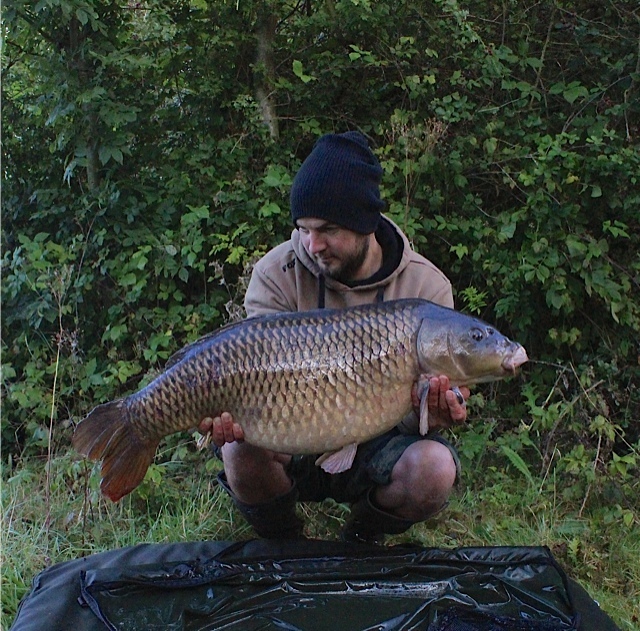 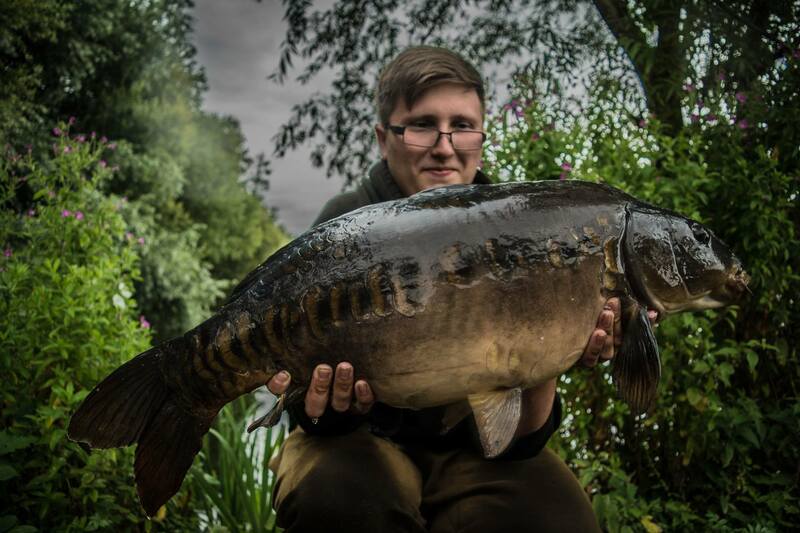 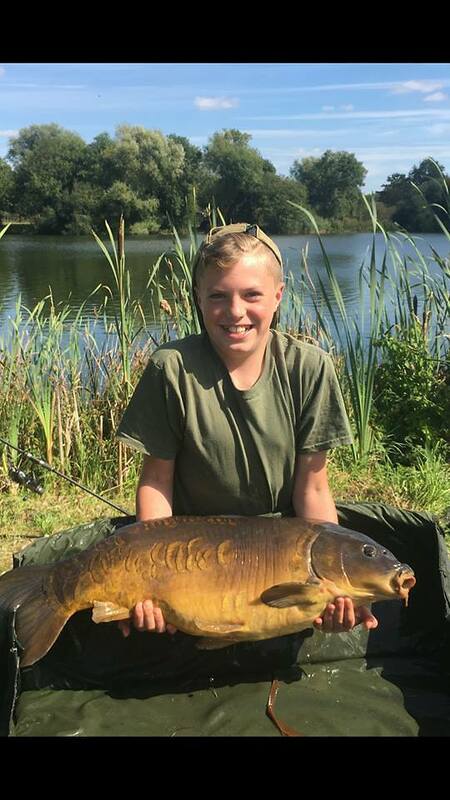 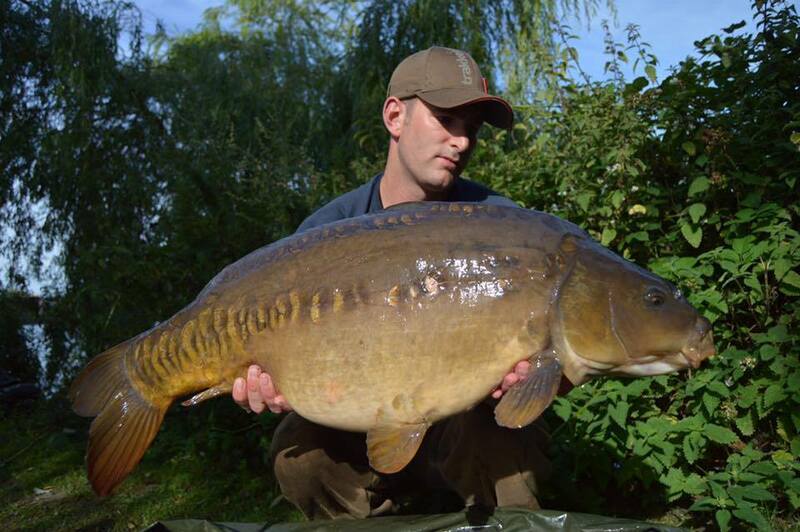 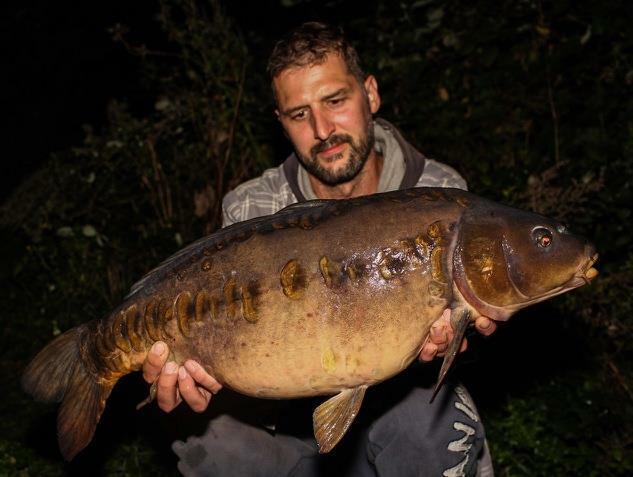 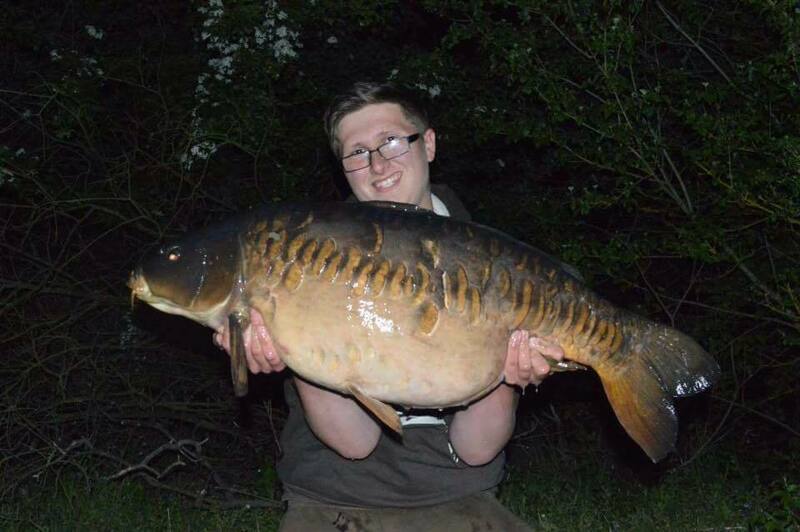 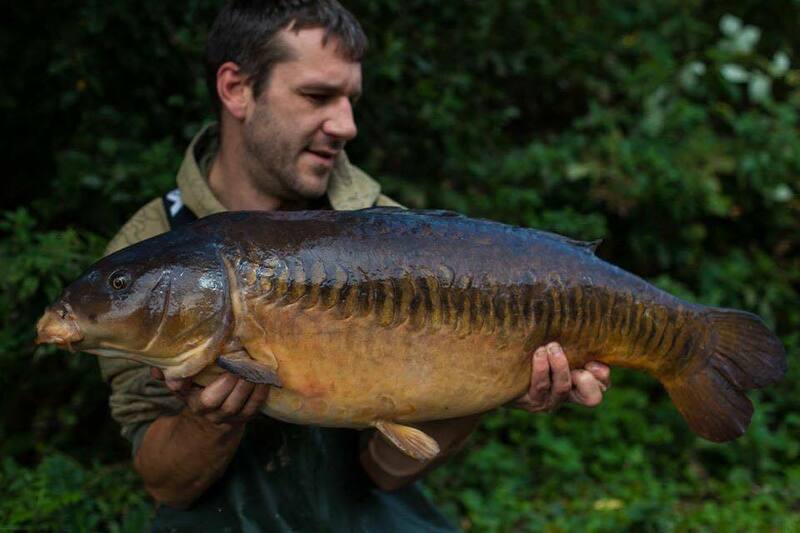 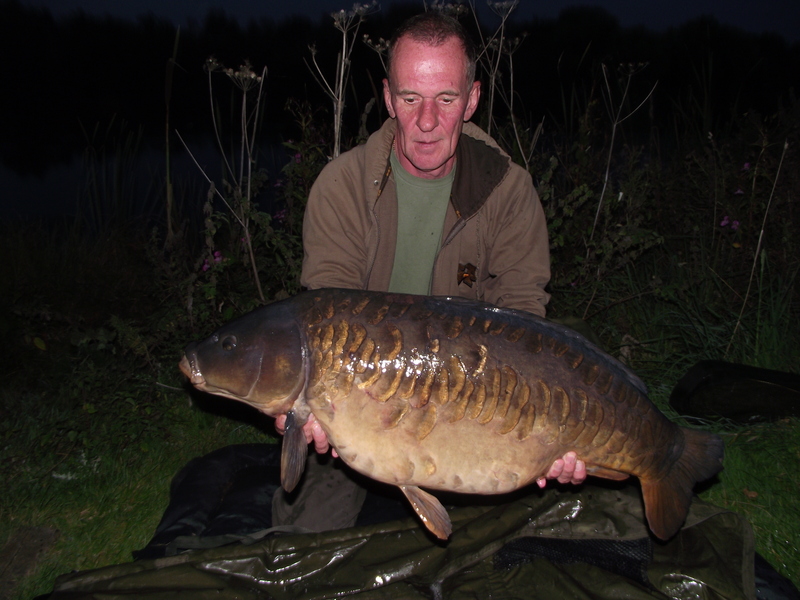 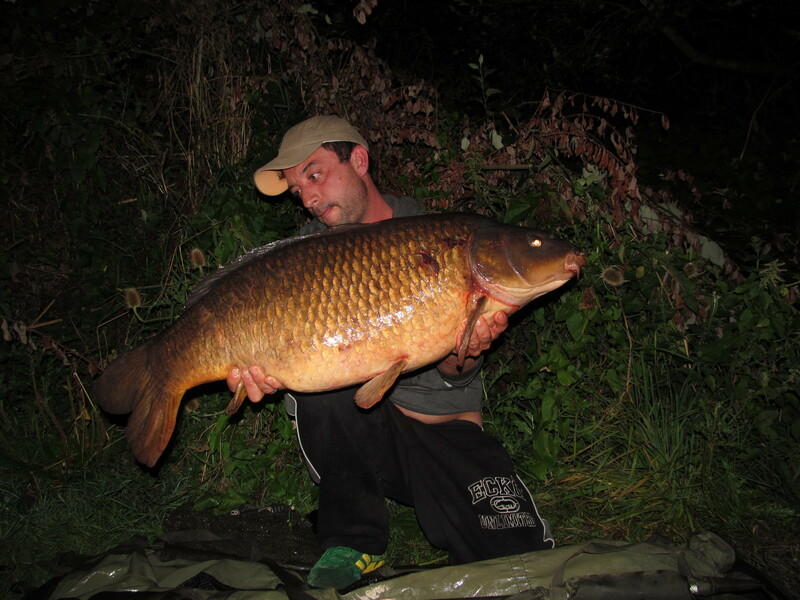 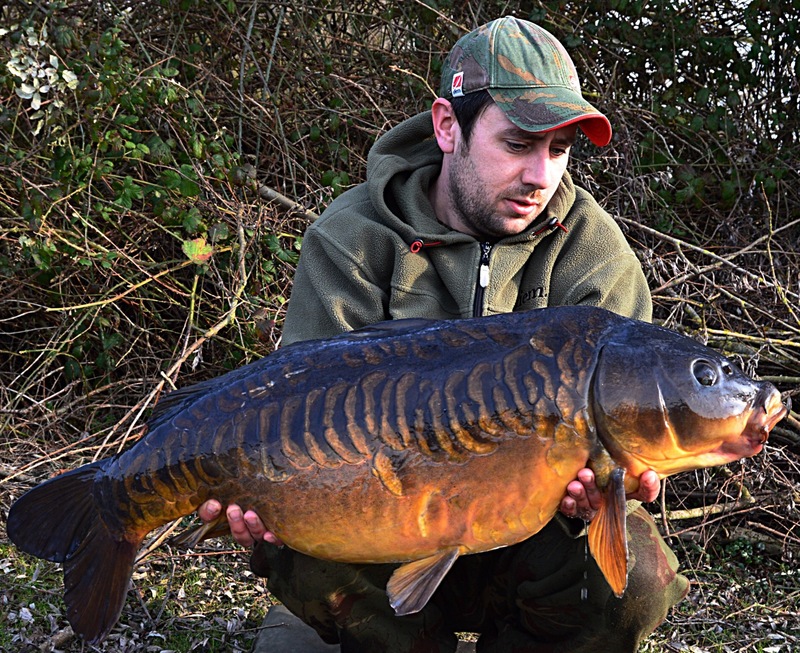 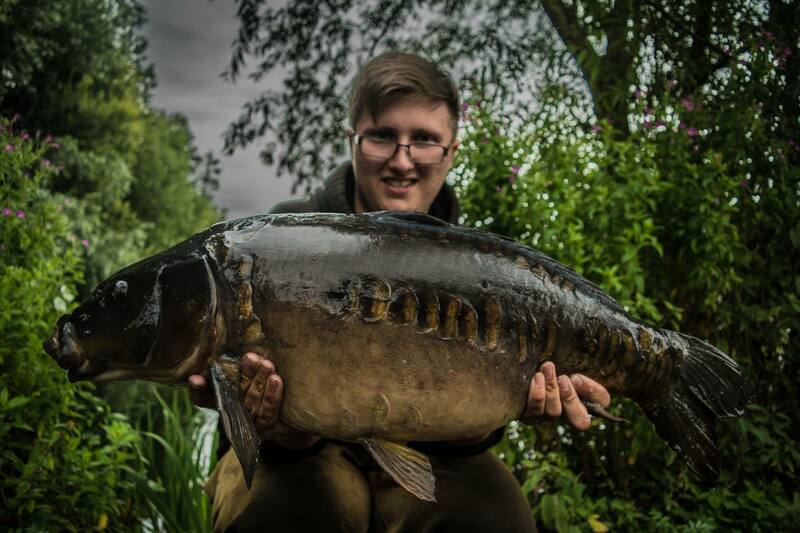 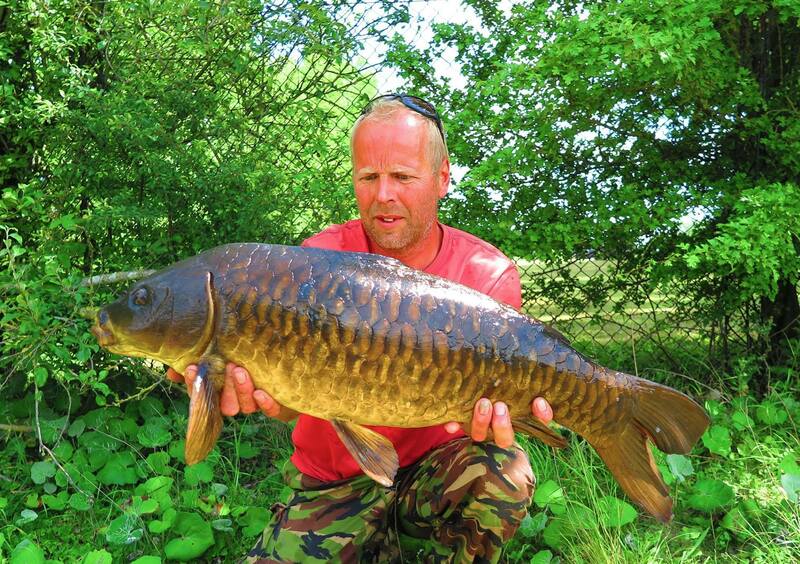 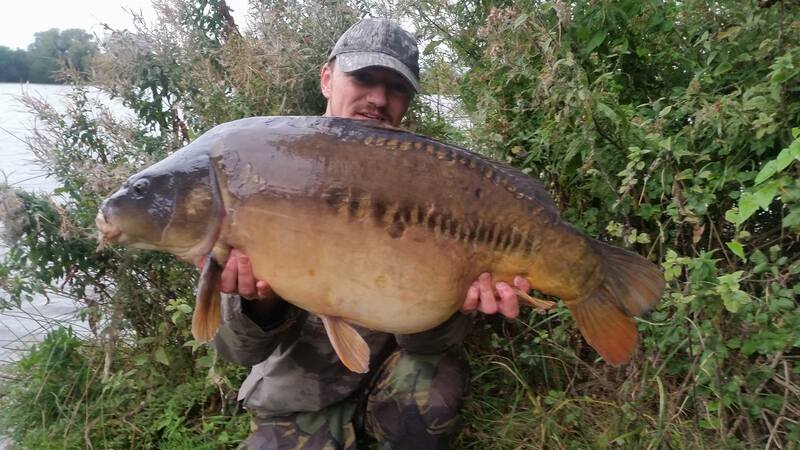 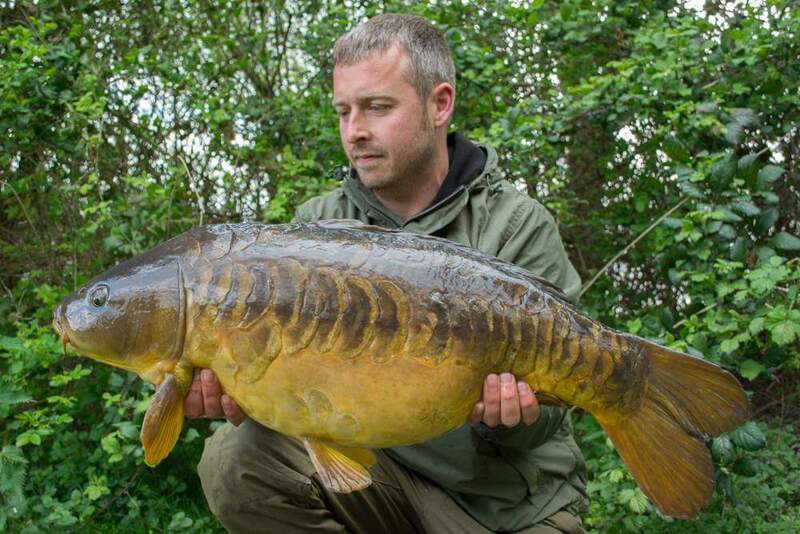 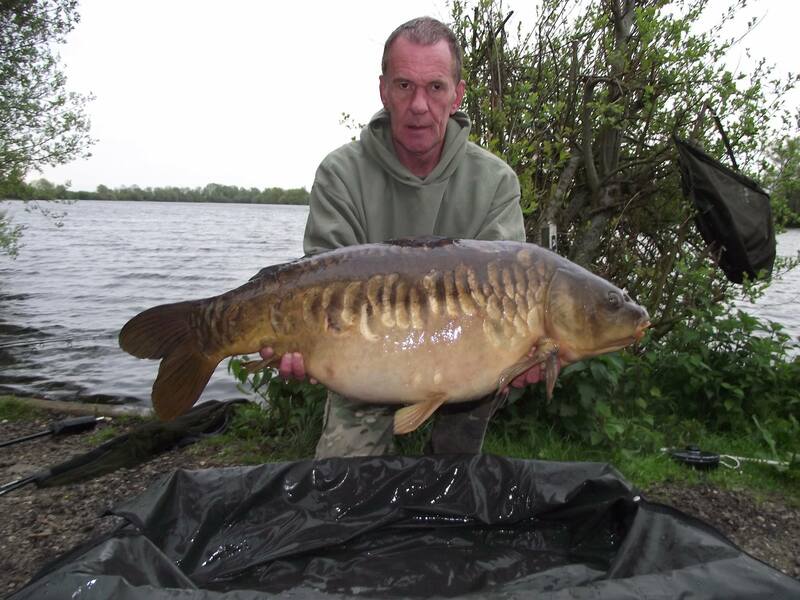 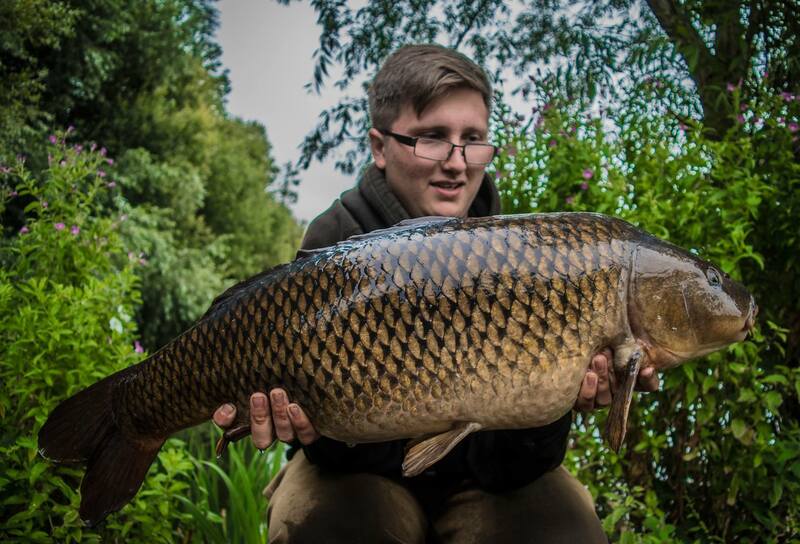 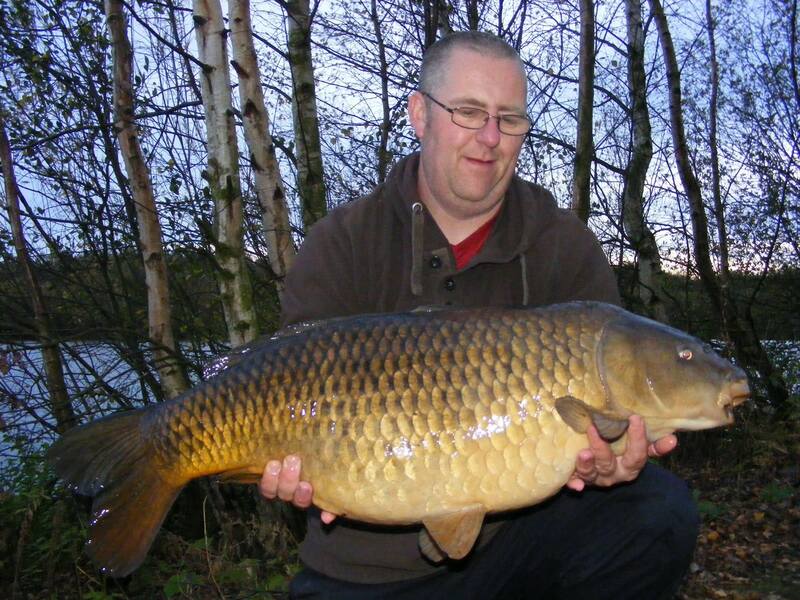 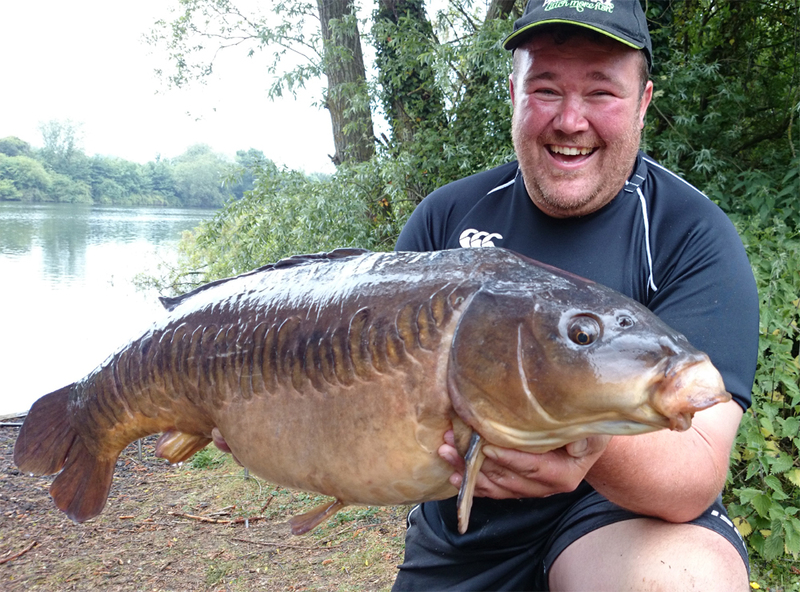 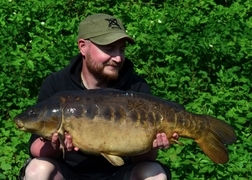 This magnificent 62 acre lake has everything the true Carp angler craves. 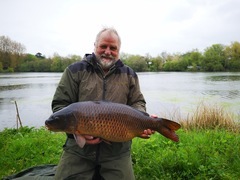 Not only does it provide first class facilities, with onsite toilets and showers, it has an onsite tackle shop where the angler can purchase end tackle, bait, Society branded clothing and much much more. 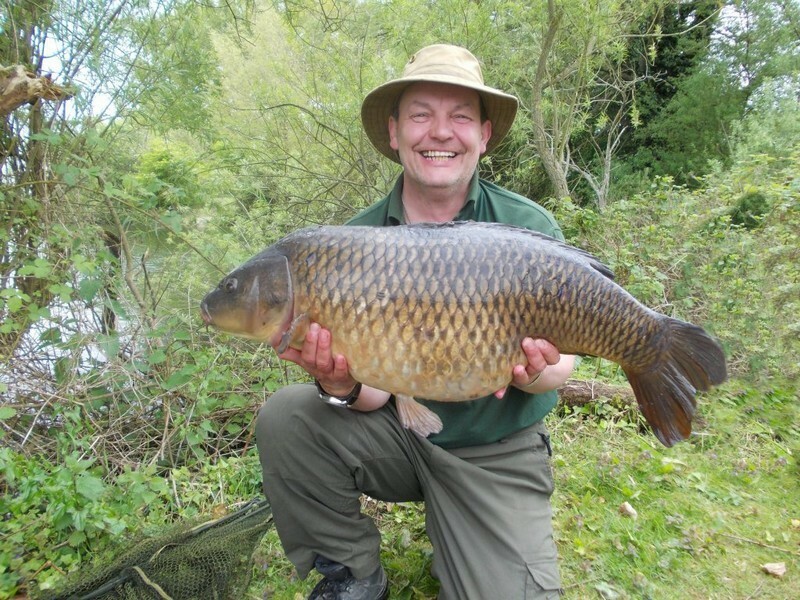 It has a function room with a professional standard kitchen which allows us to cater for our event's. It also has office accommodation. 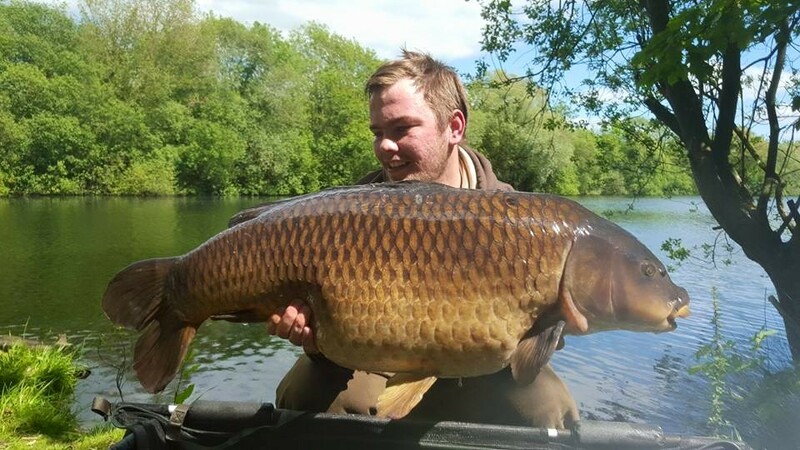 Horseshoe was one of the first carp fisheries to become fully Otter fenced, providing not only security for the fish but the angler as well. 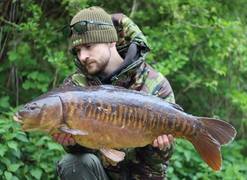 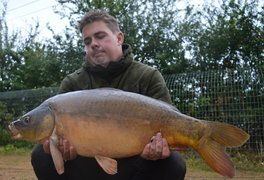 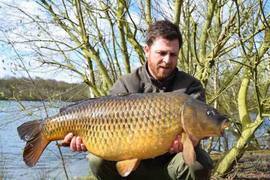 All in all, Horseshoe Lake and the onsite lodge is the envy of many fisheries and has become the blue print that many a carp lake has copied. The fish in Horseshoe are as famous as the lake itself. 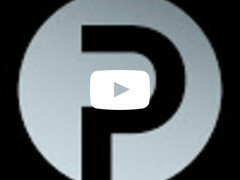 Horseshoe suffered a massive setback in 2011. 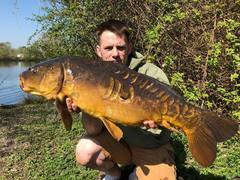 The worst thing that can happen to any fishery happened and many of the original Leney fish that Horseshoe is famed for died. 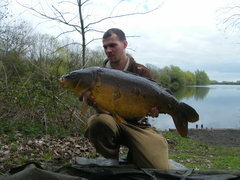 It was a catastrophic time that those of us who were around to deal with it would never forget. 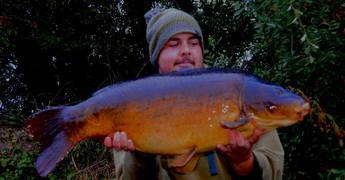 The fish didn't die in a one off occurrence! 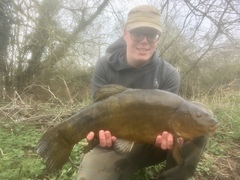 it went on for months. 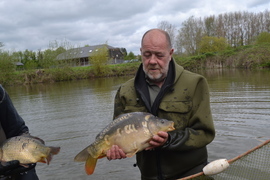 Some weeks we would lose a dozen fish, the next week none and we would pray that it was over, but then lose half a dozen the following week. This went on and on and there were times we thought it could well be the end for Horseshoe. 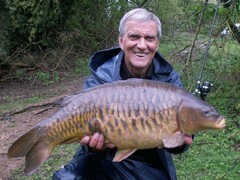 Thankfully though, eventually the deaths stopped and by the grace of God, there were many survivors. 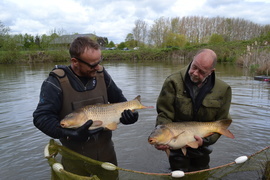 We never did find out the cause and despite sending several fish to CEFAS to be autopsied, no one could come up with an answer. 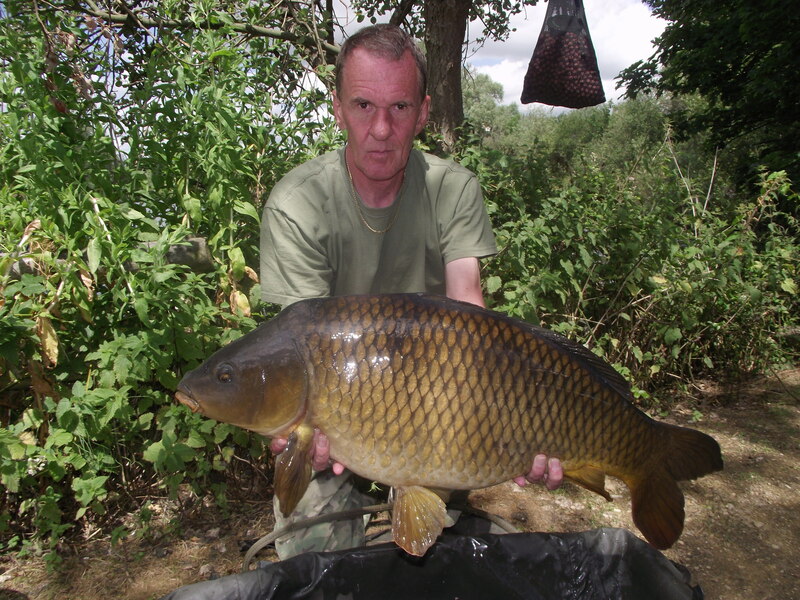 They tested for KHV and SVC and all the other known killer diseases and all the results came back negative. 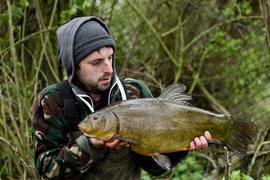 This was fantastic and of some comfort and reassurance but the frustration of not knowing why it happened is still with us all. 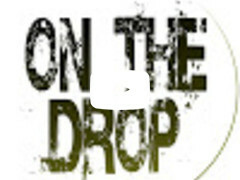 If you know why something happened you arm yourself and protect it from happening again but when you don't know then that leaves you in the lap of the Gods. All we can do really is learn from it and take as many precautions as possible, this we have done and continue to do. 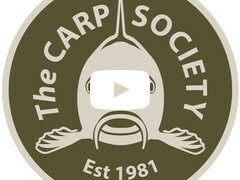 Like the Phoenix Horseshoe has risen from those dark ashes, and with the help of some great people (they know who they are) and despite the, shall we say lack of help from others!!! 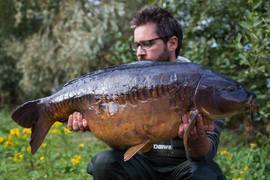 (they know who they are) we have recovered. Since the traumas of 2011 we have restocked the lake, with quality fish from the now famous and very much acclaimed VS fisheries. 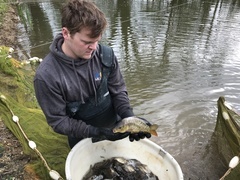 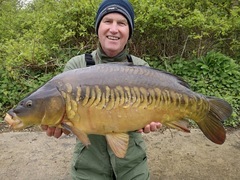 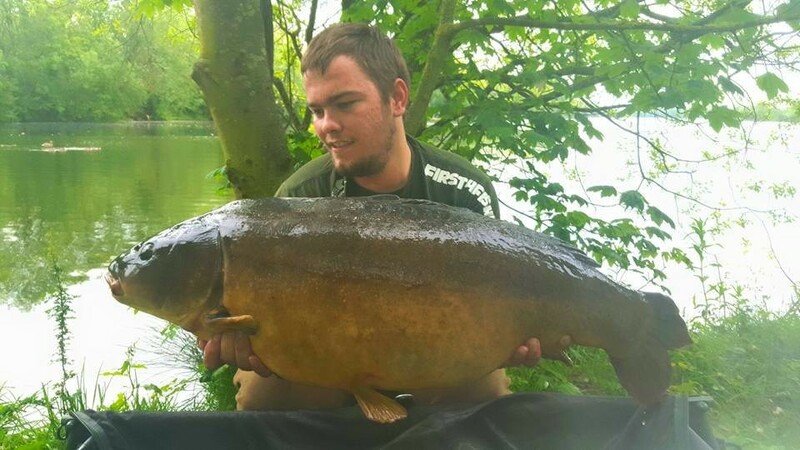 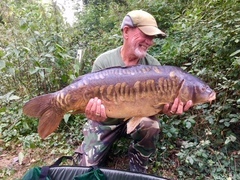 They have provided us with some first class fish that have settled into Horseshoe admirably and have absolutely complimented the many original Horseshoe Leneys that survived the 2011 fish kill. 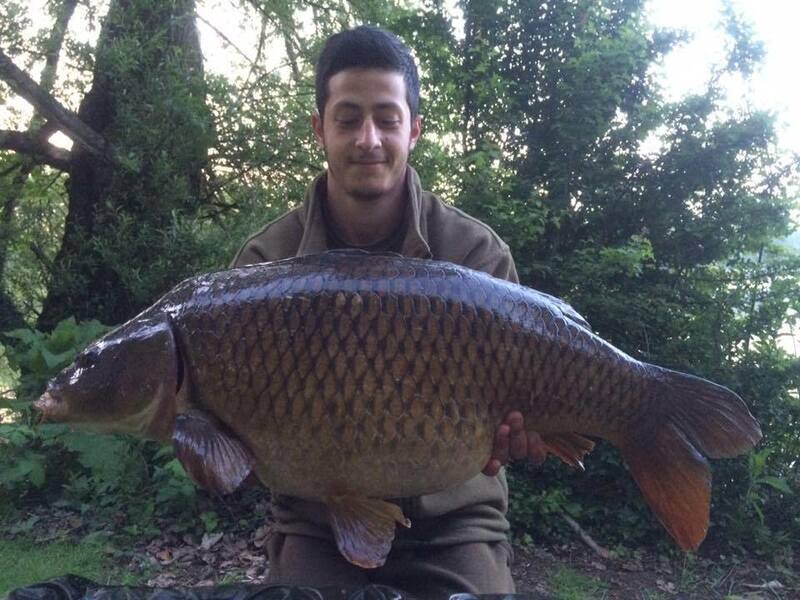 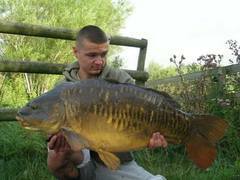 Since 2011 with have added over 400 VS fish which have gone into Horseshoe in stages. 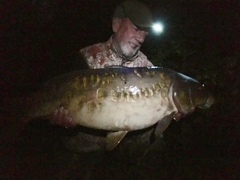 The first stocking of 180 C4 fish (between 8lb and 12lb) went into Horseshoe in the winter of 2011, followed by another 50 that same year, the following year 40 went in, the next year 30, then 50, then 40 and in November 2016 another 60 have gone in. 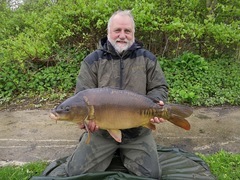 Several of the 2011 stocking came out over 30lb in weight in 2016 with plenty of upper 20's also coming out so the fish are doing really well. 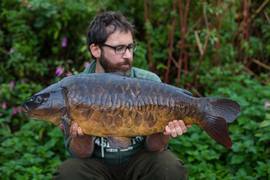 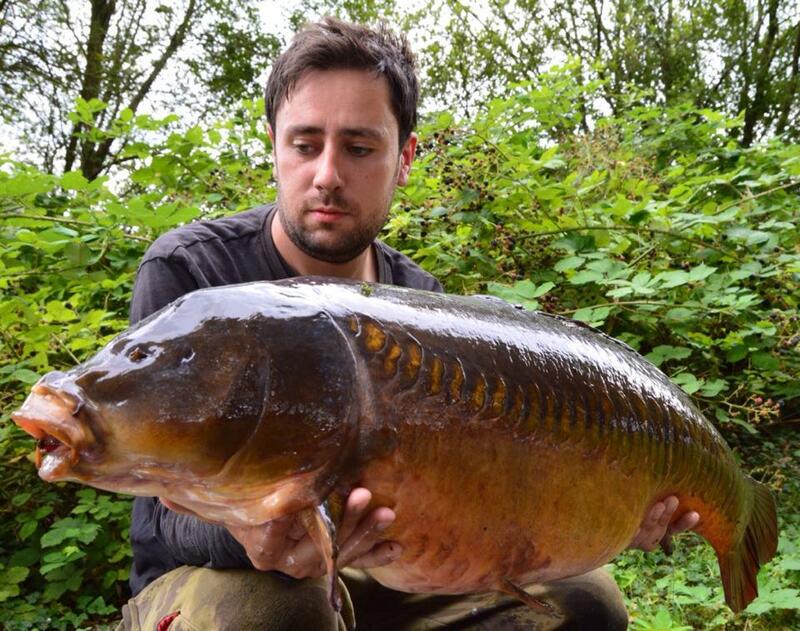 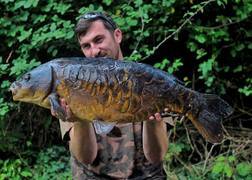 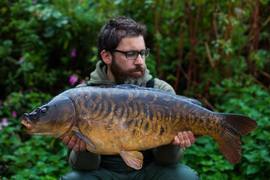 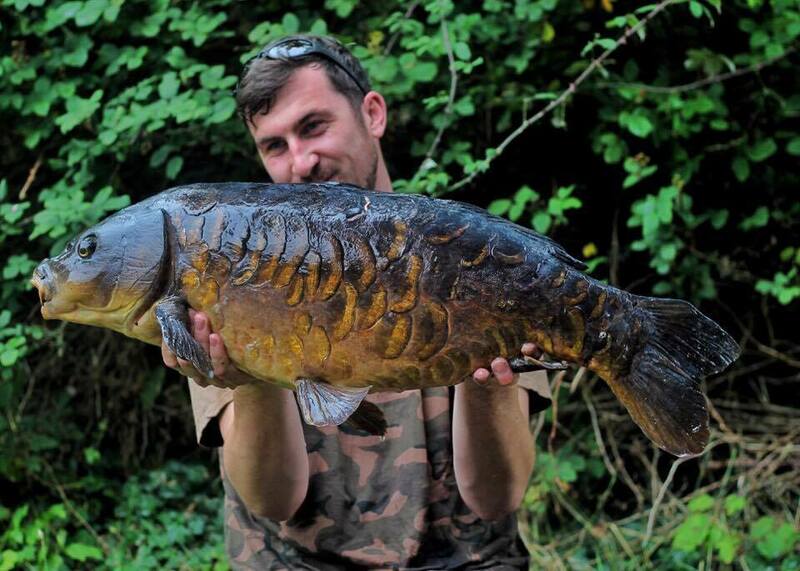 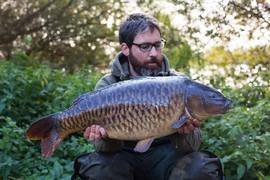 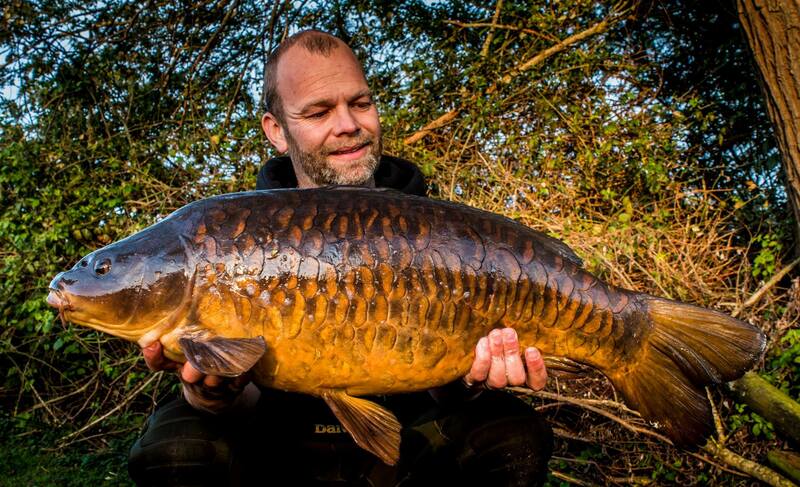 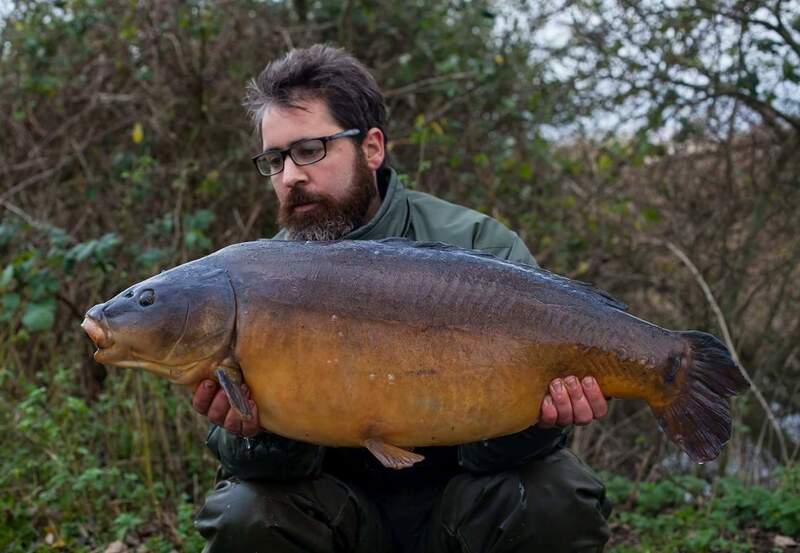 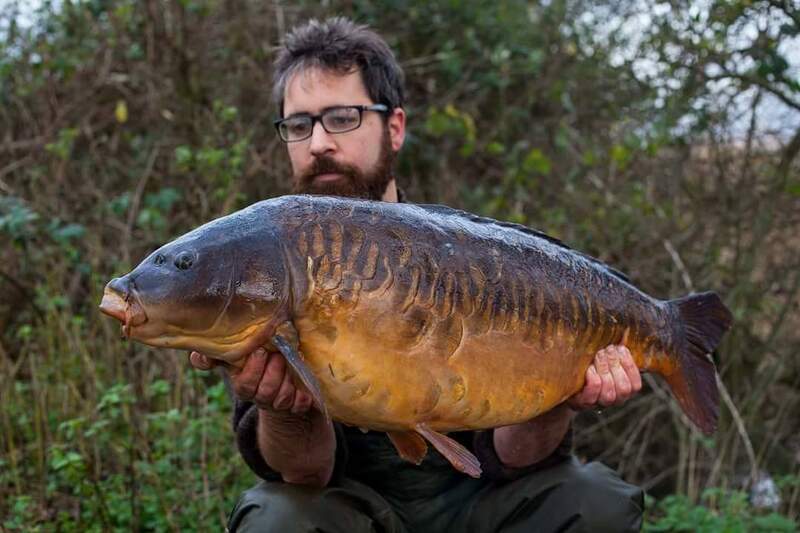 The most pleasing thing for us though is the new fish are just as stunning as the originals. In fact such is the quality of the fish that it is becoming increasingly difficult to tell the difference between the new fish and the originals. 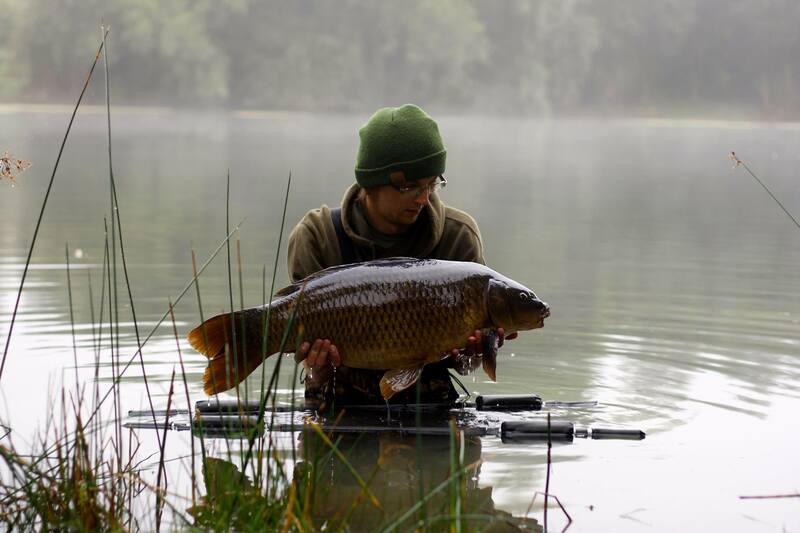 Much to our amusement it causes many a discussion and heated debate amongst our anglers. 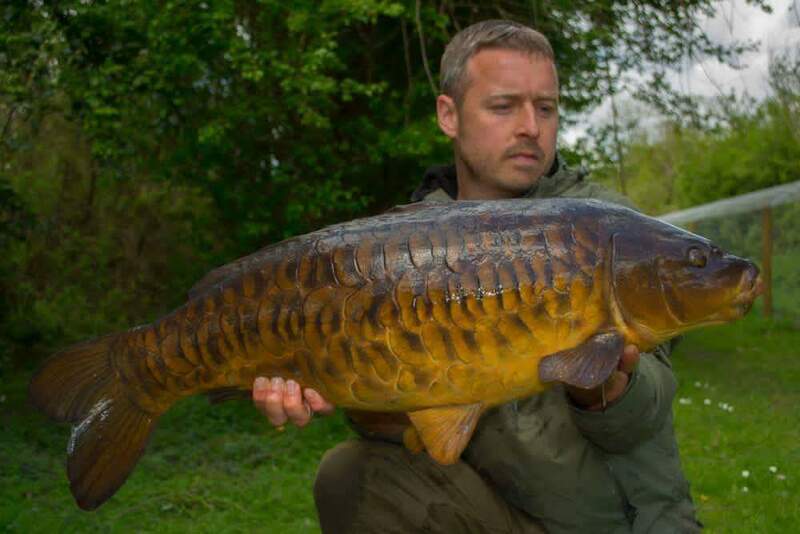 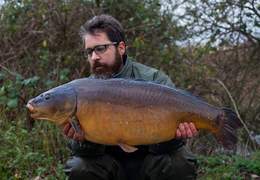 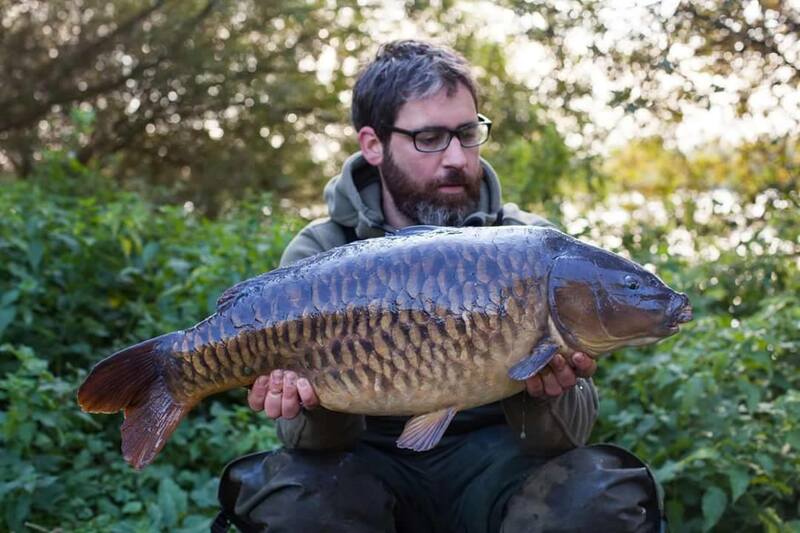 It's not surprising really given that amongst the VS fish we have introduced, many of them are from the Leney strain, others are a mixture of the Sutton-at-Hone fish, The North Harrow Waltonian fish, Colnemere Black Mirror fish, Galacian fish and a few others. 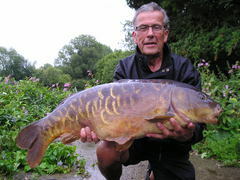 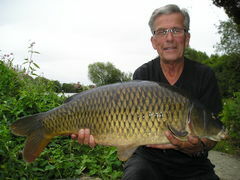 The main thing is the lake is well stocked, with in the region of 800 to 1,000 good quality carp. 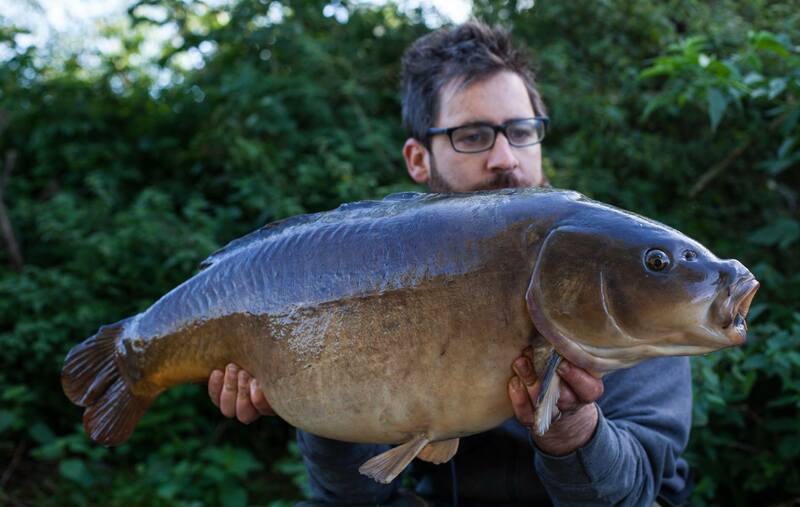 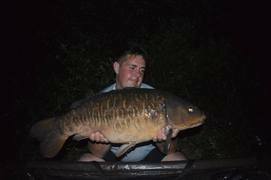 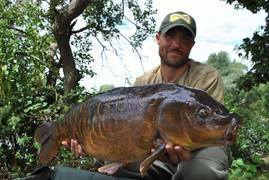 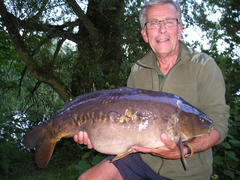 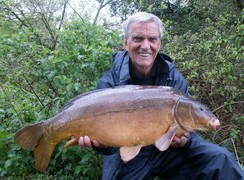 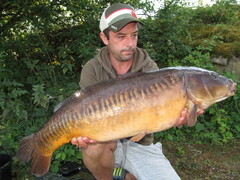 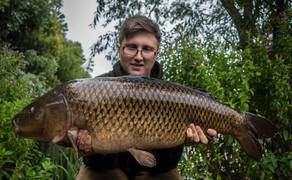 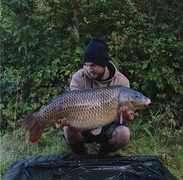 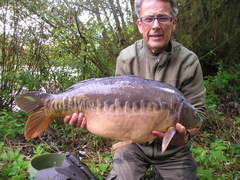 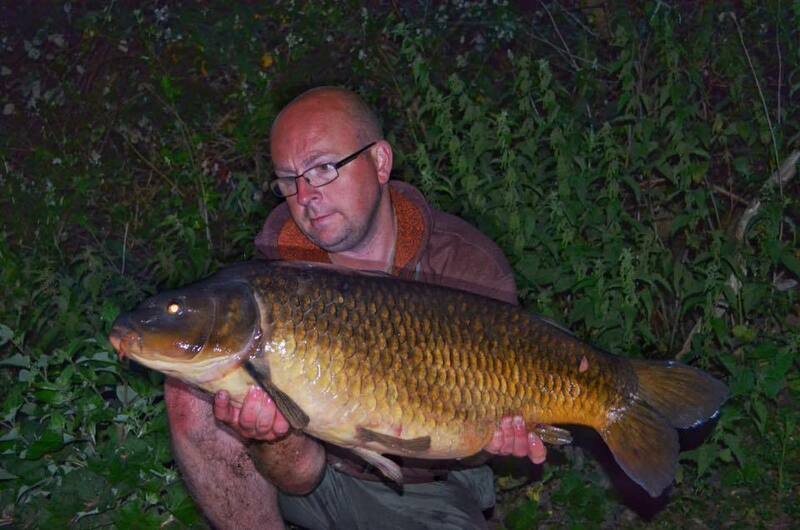 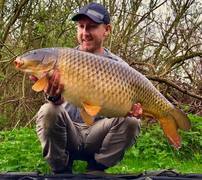 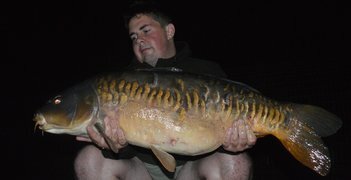 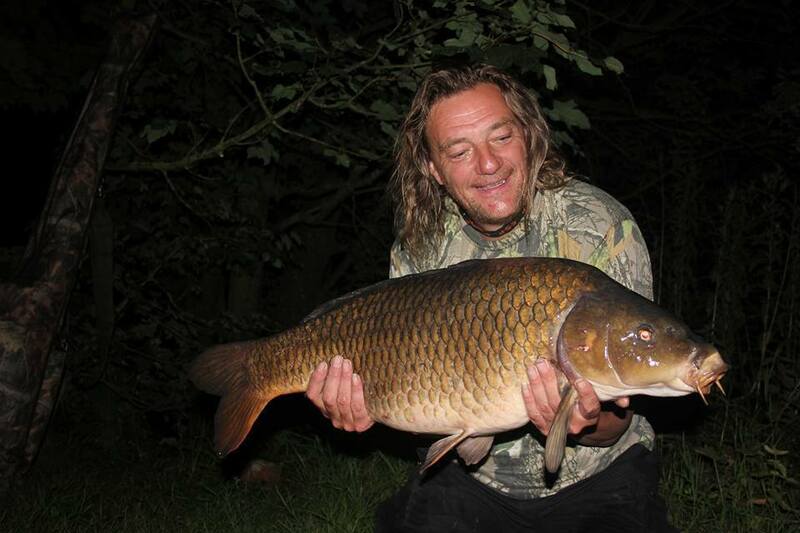 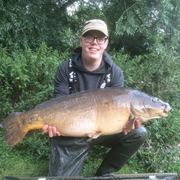 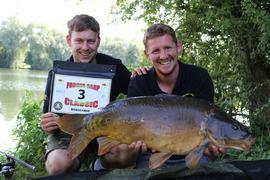 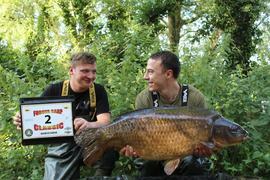 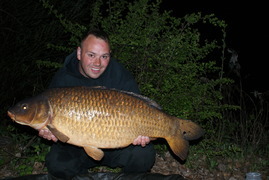 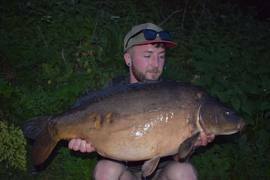 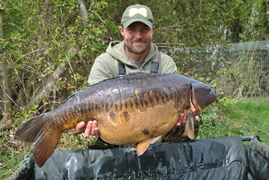 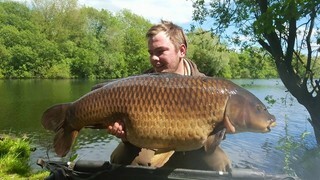 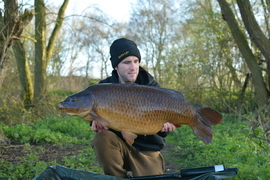 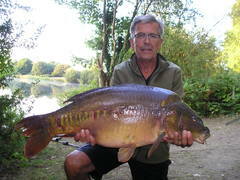 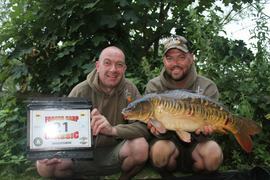 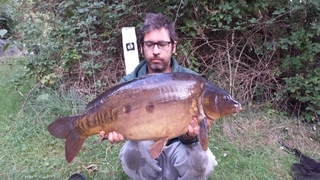 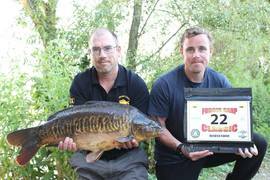 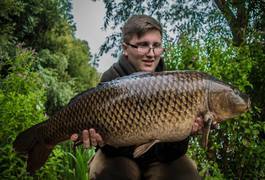 The average weight of the carp in Horseshoe I would say is around 20lb with a decent head of 30's. 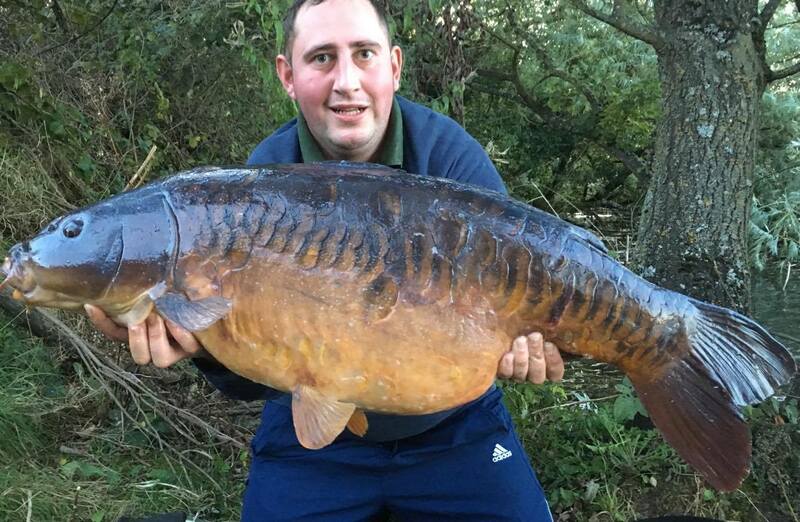 In 2016, roughly, 20 to 25 different 30's were caught, with the biggest being 38lb. 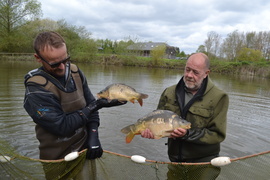 The number of 30's is rising all the time and with the sensible stocking policy the sky is the limit with regard to the maximum weights these fish will rise to. 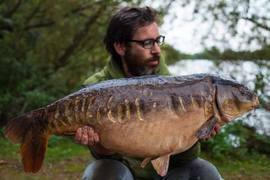 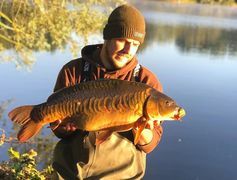 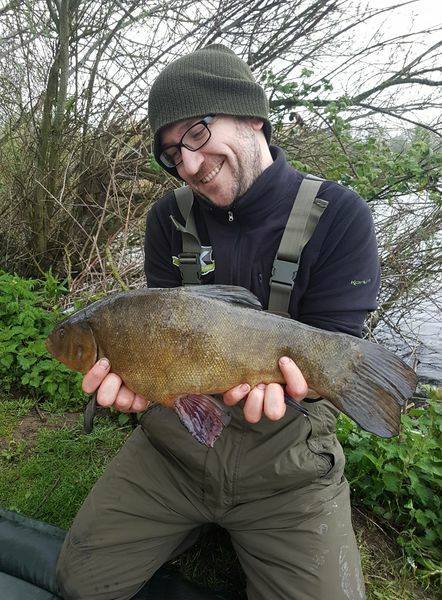 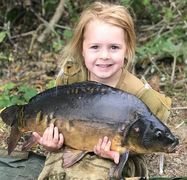 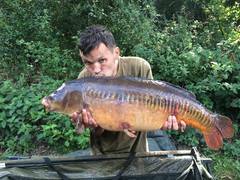 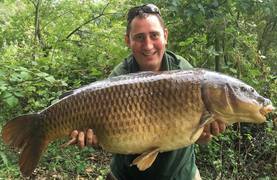 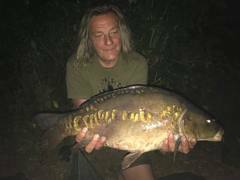 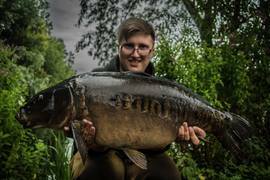 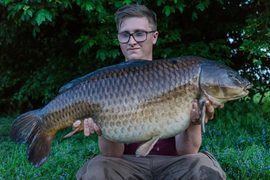 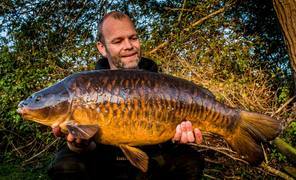 It's a very exciting time to be fishing Horseshoe because, unlike a lot of lakes, apart from, or as well has, fishing for the recognisable fish, you are genuinely fishing for the unknown. 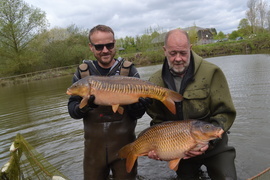 Don't get me wrong, there are fish in here that get caught all the time, however there are fish in here that no one has caught yet and no doubt, Horseshoe will throw up some big surprises in the not too distant future. 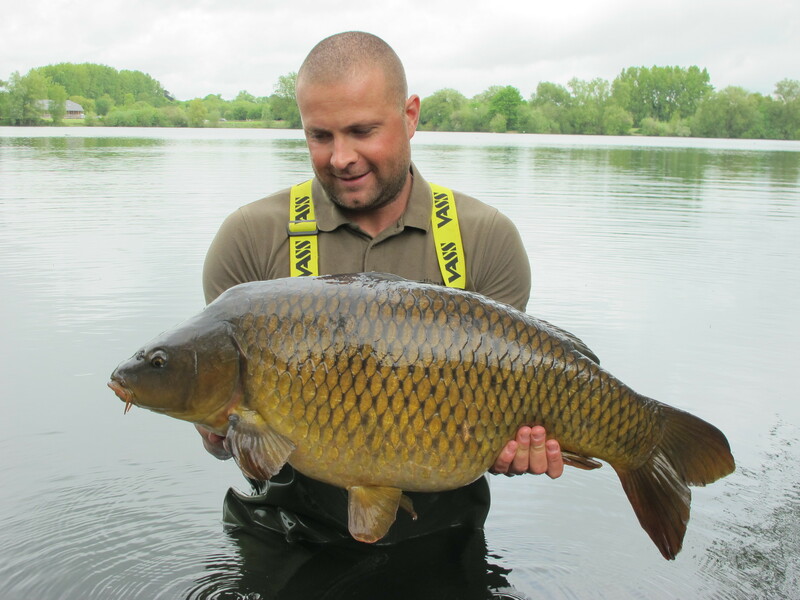 Please note the day ticket gate code changes regularly and is only given to anglers with valid fishing tickets for the duration of their ticket. 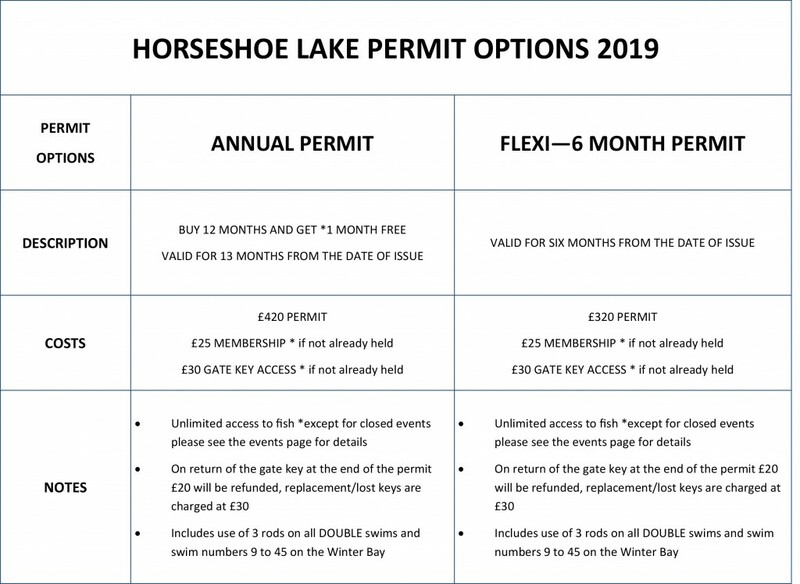 If you would prefer to have unrestricted access times to fish Horseshoe we suggest purchasing a six month or twelve month permit which has a seperate access and is not restricted to opening times. Please note: these rules and guidelines are only in place for the future welfare of our fish stocks. 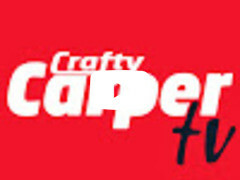 Any rule infringement will be noted on the database. 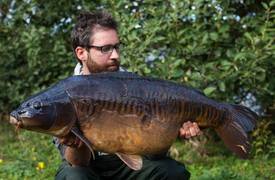 Any future tickets will be marked accordingly. 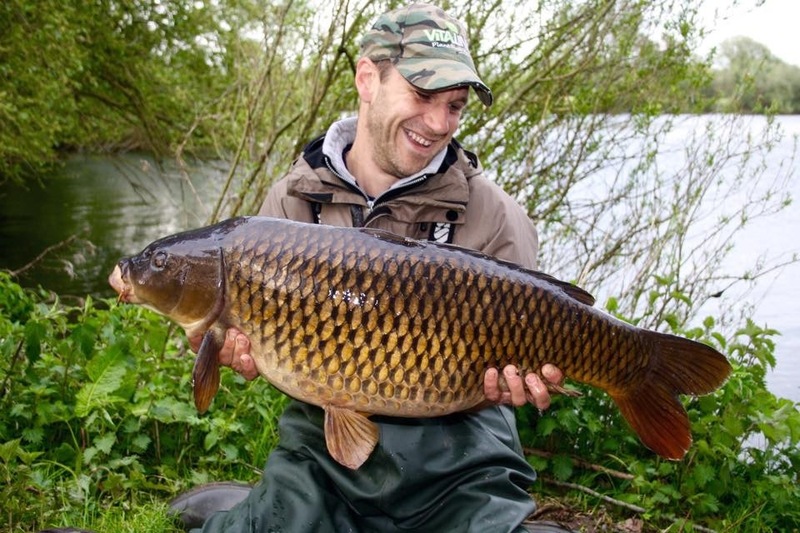 A second rule infringement will result in the angler/s being asked to leave the lake immediately. 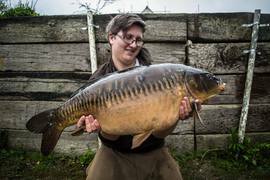 Future access to the lake will then be subject to the consideration of the Society Management, who will notify the angler/s in writing. 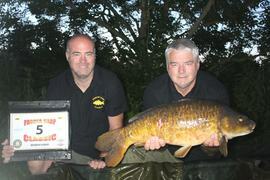 The Bailiffs carry the full support of the management team and their decisions are final. 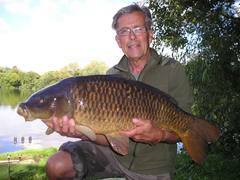 Horseshoe Lake is situated in Lechlade on Thames in Gloucestershire. 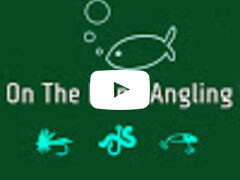 Visit Google Maps for directions and click on the directs arrow for the easiest route.